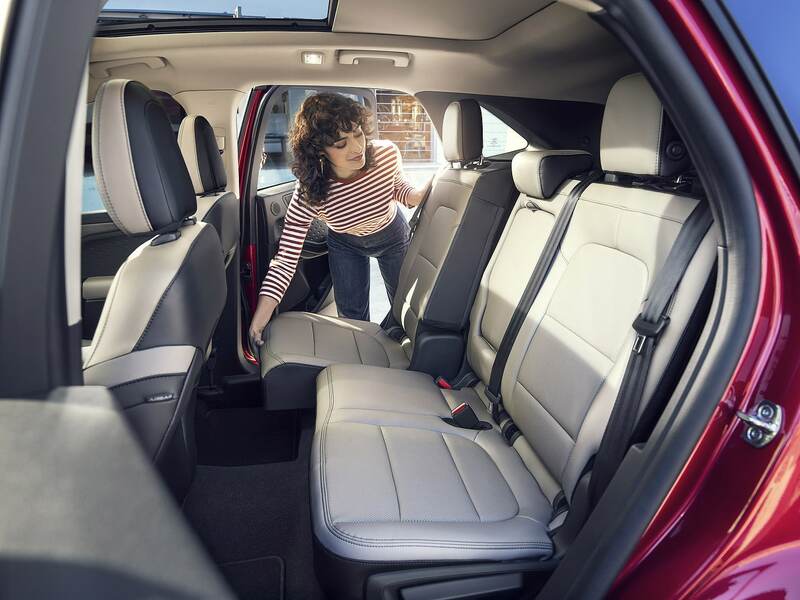 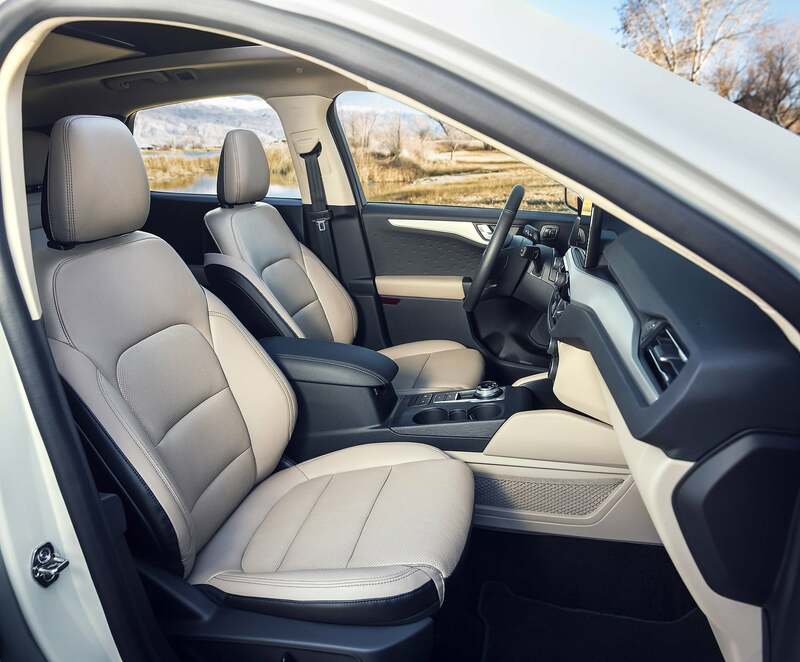 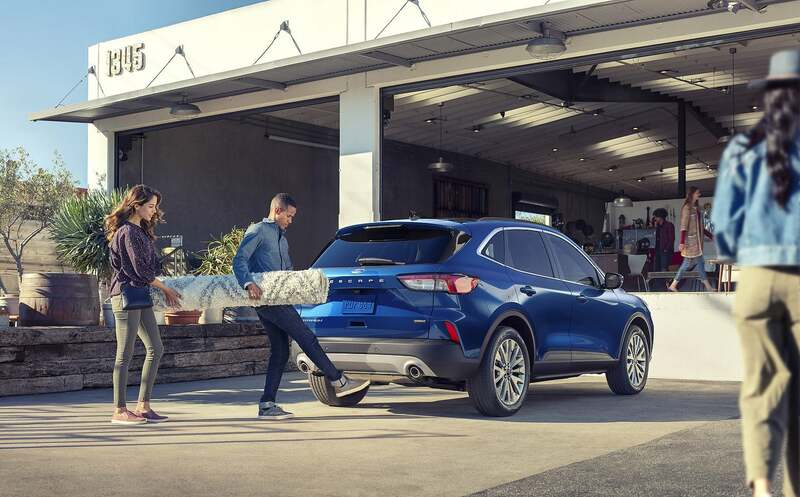 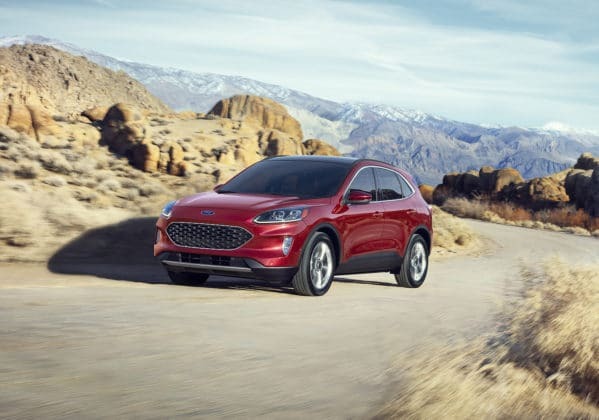 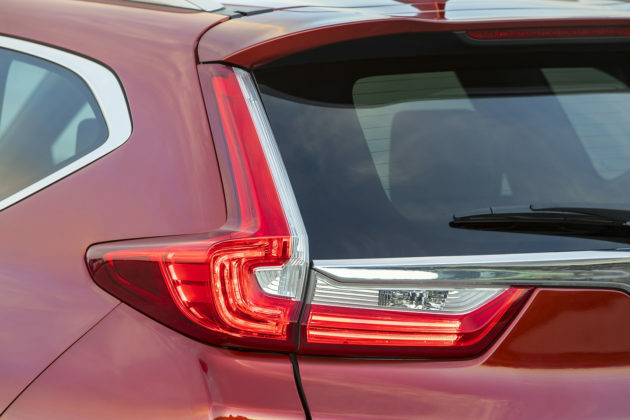 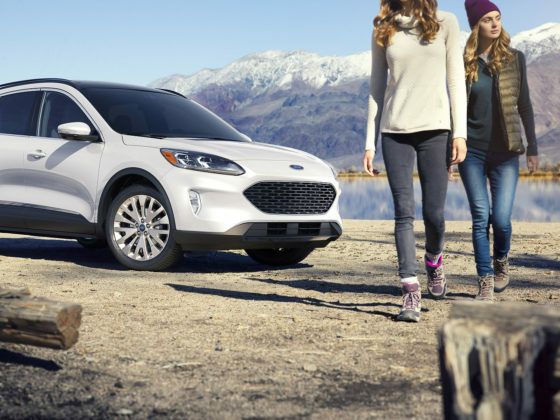 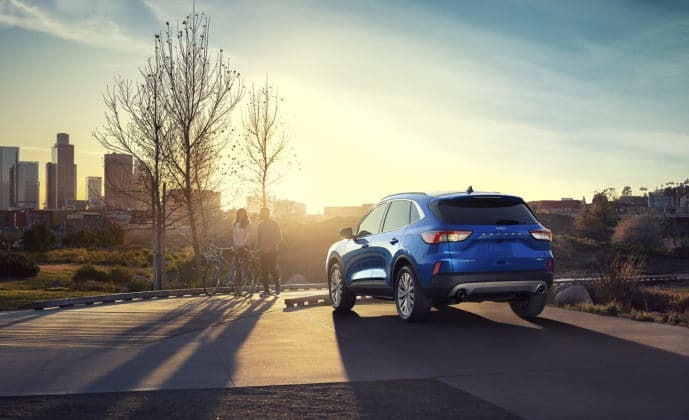 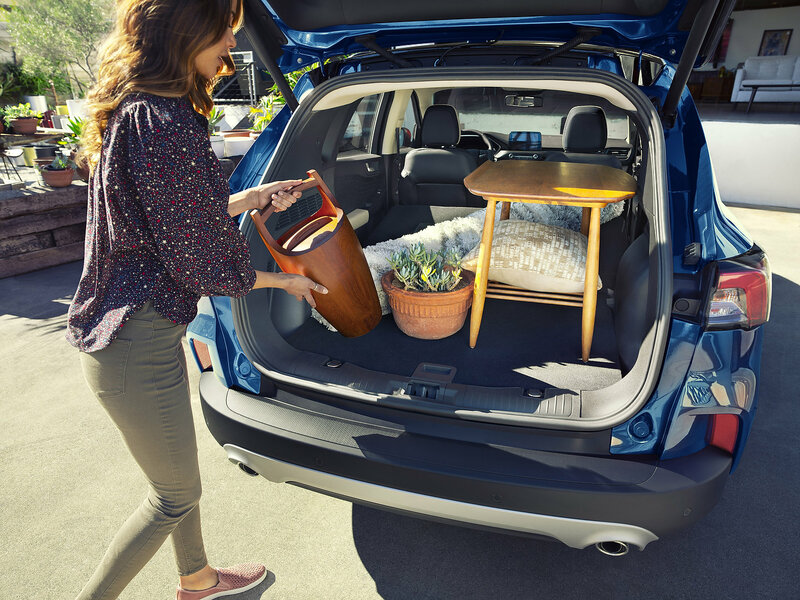 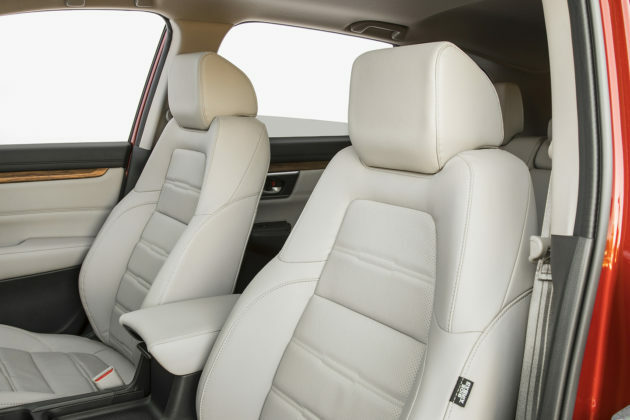 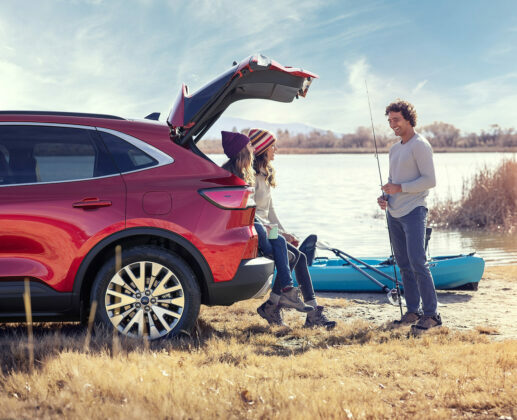 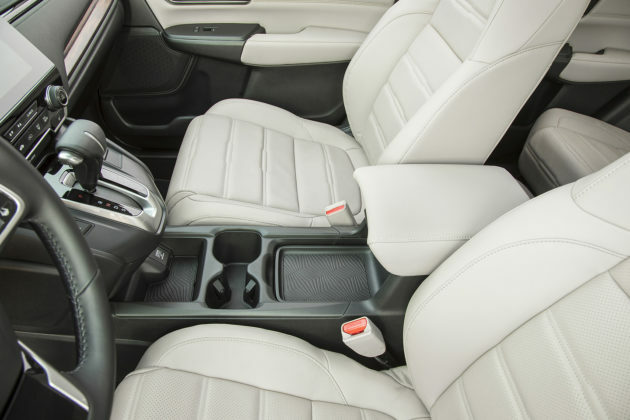 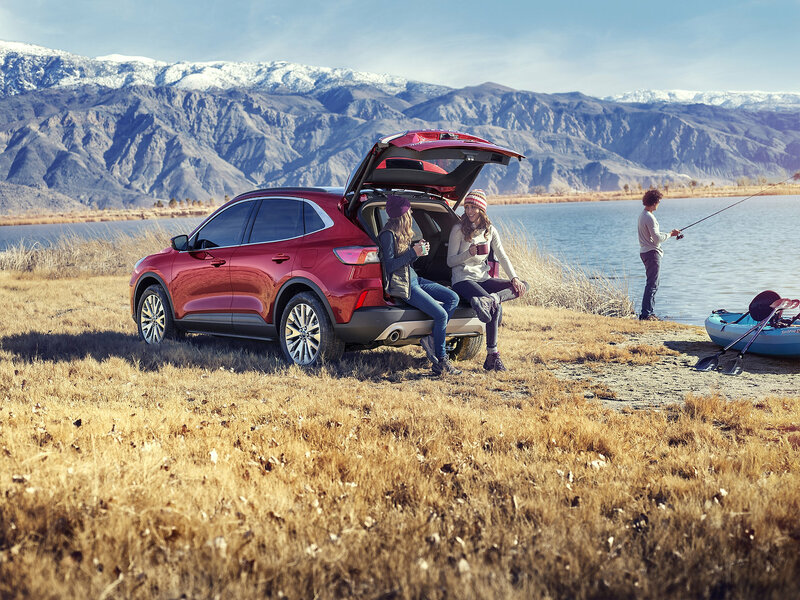 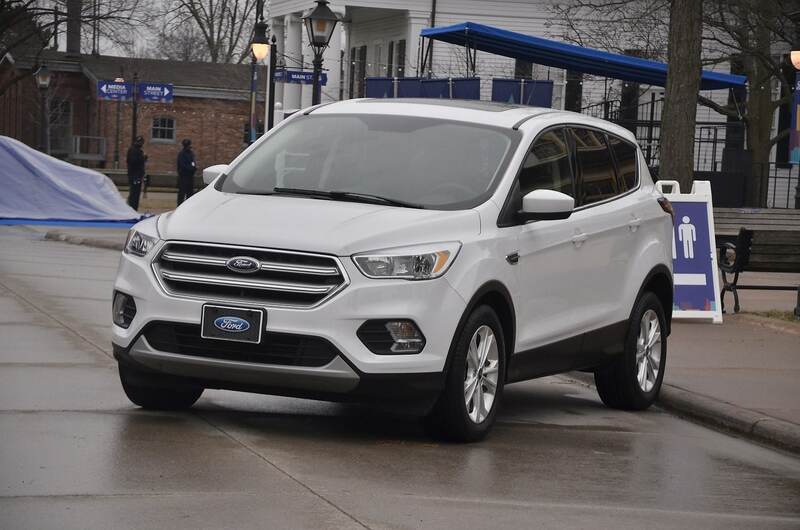 Even though the new 2020 Ford Escape only arrives this fall, Ford wants you to take notice now as rivals like the Honda CR-V are extremely well established and popular. 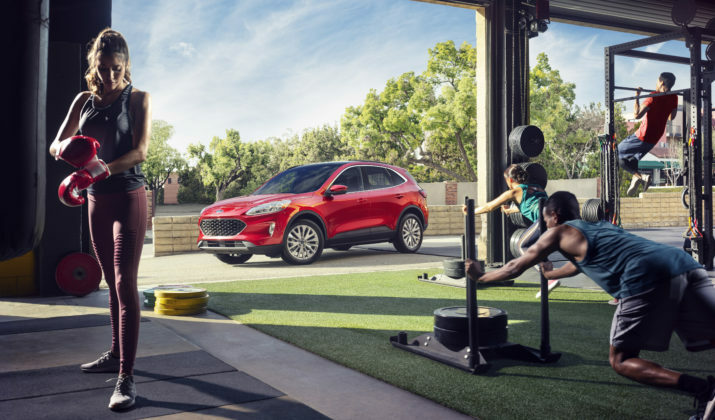 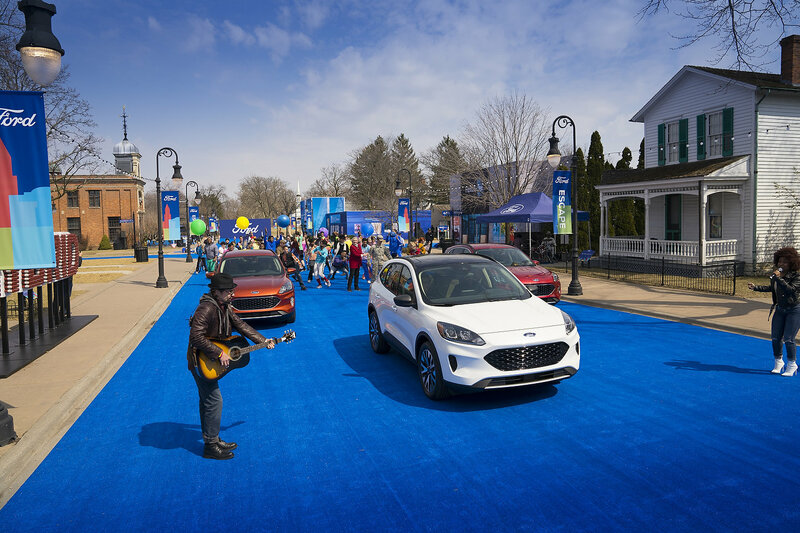 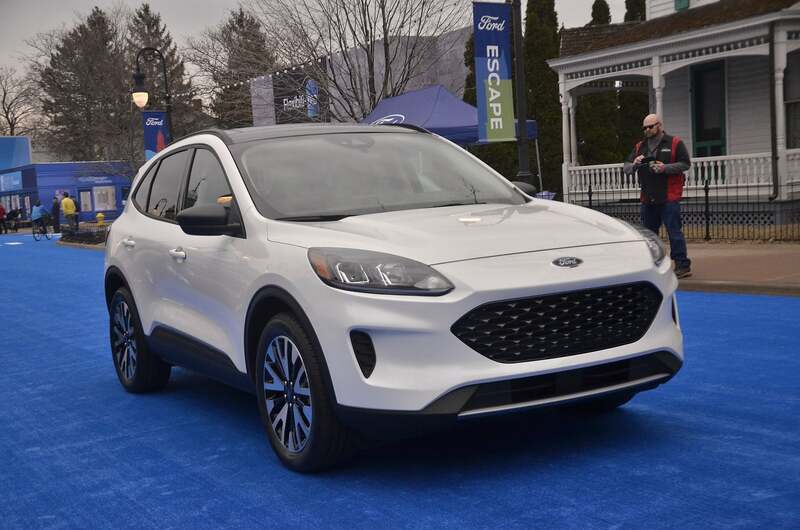 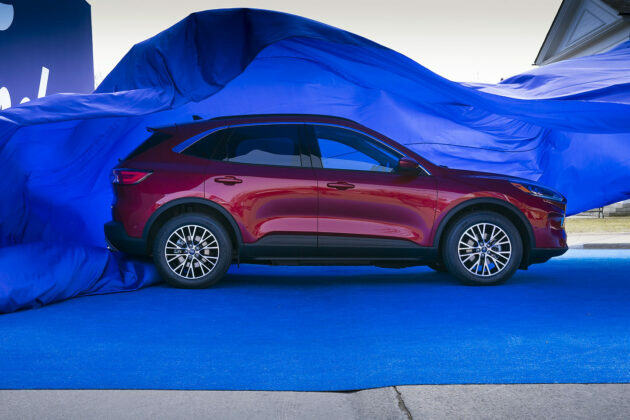 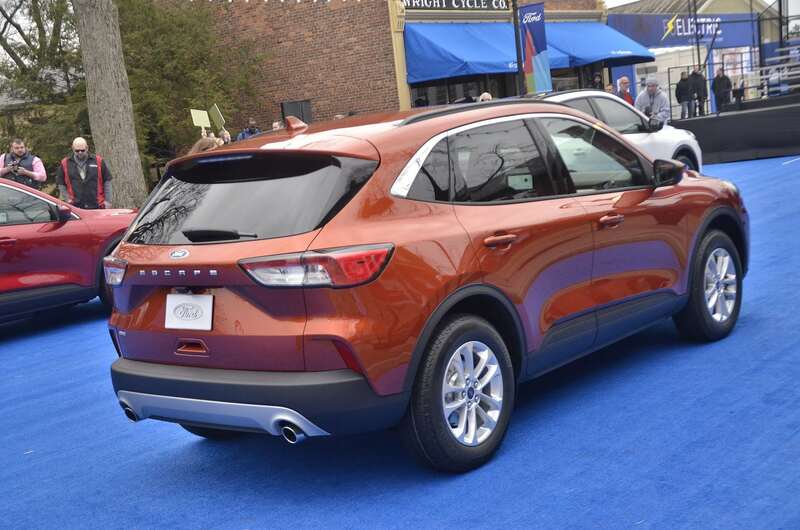 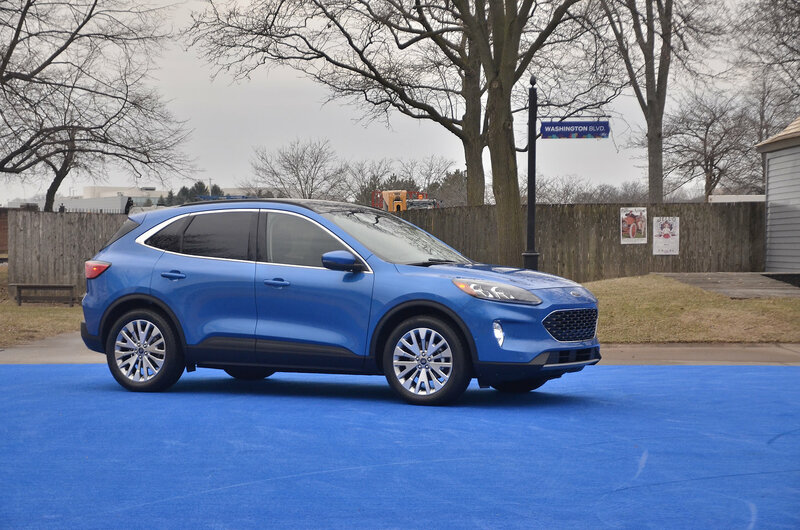 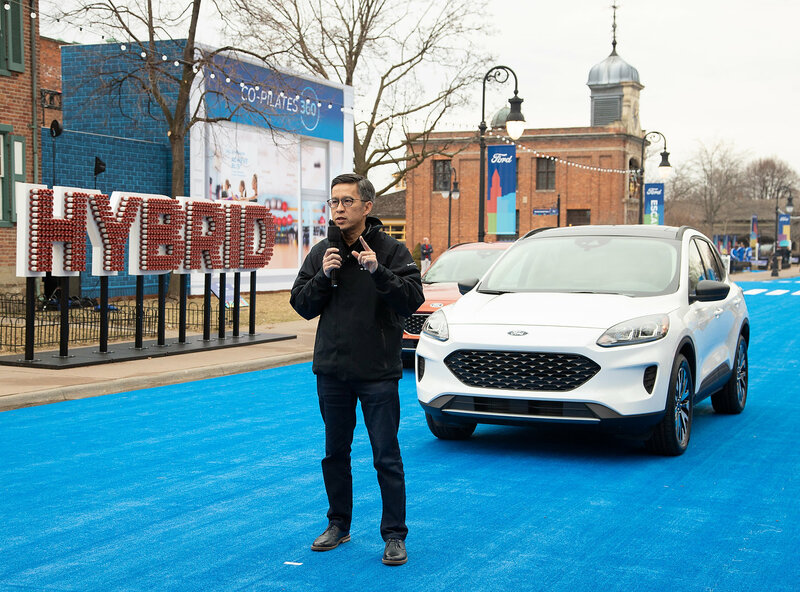 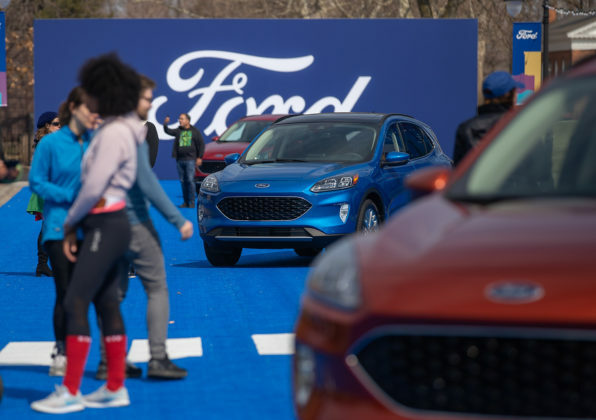 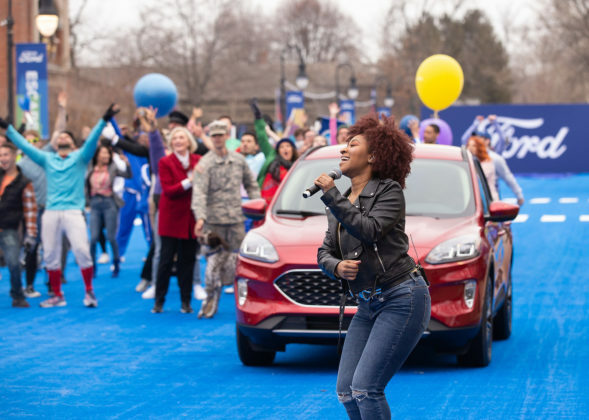 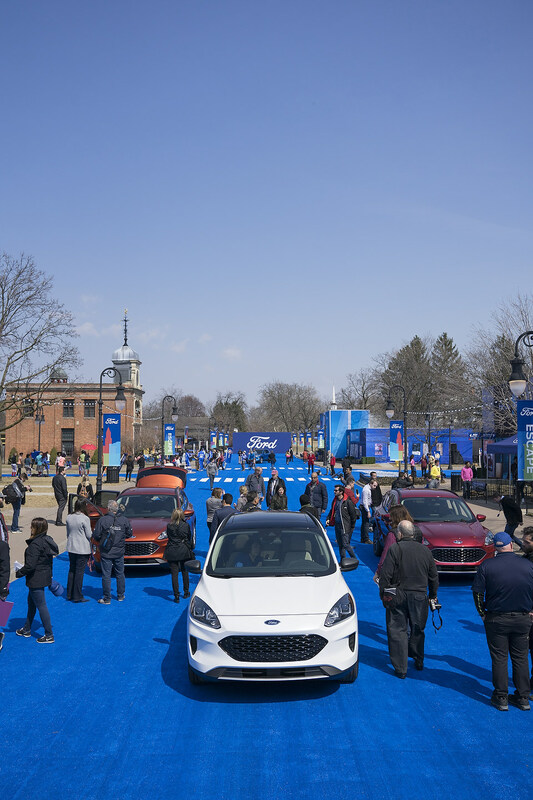 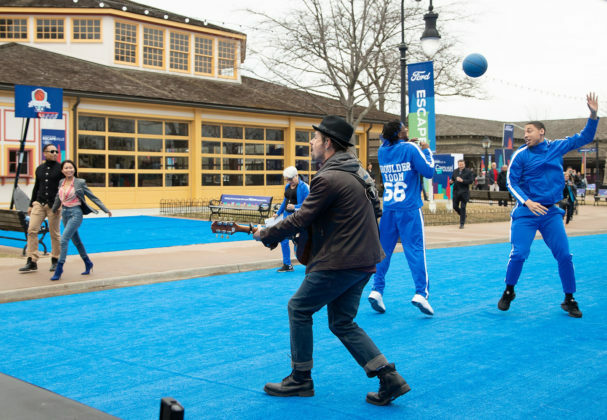 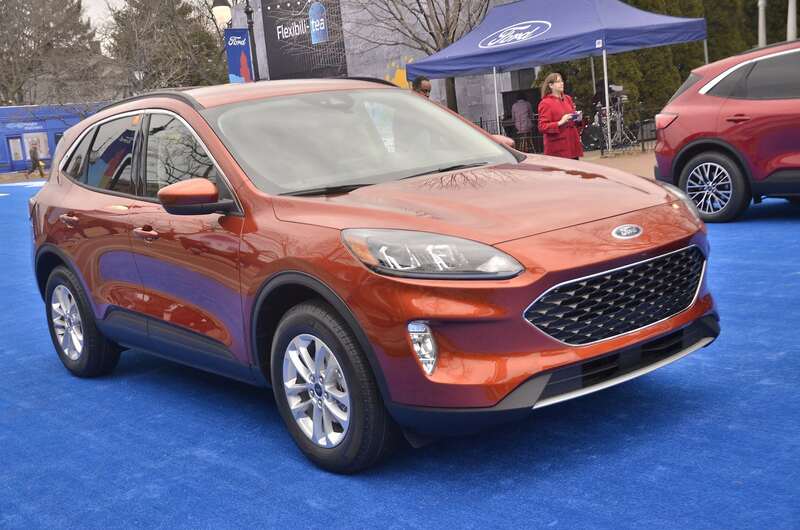 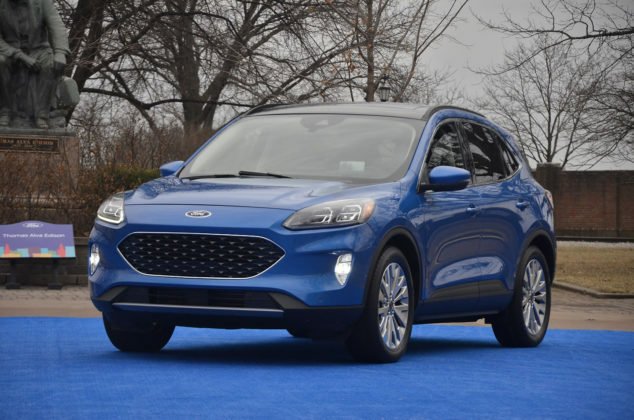 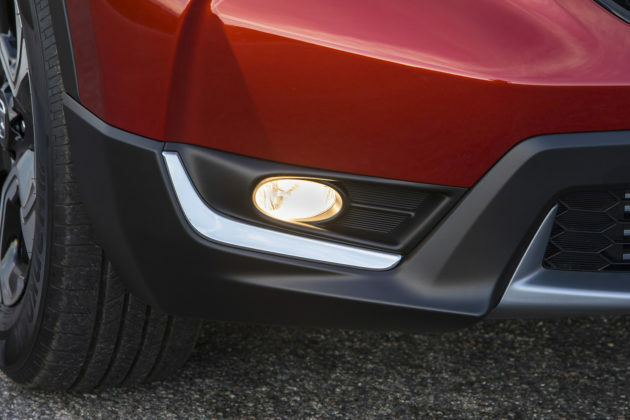 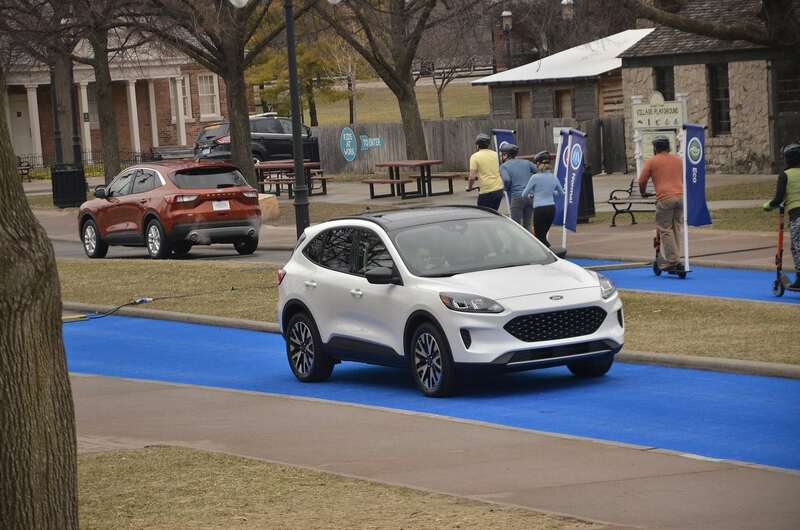 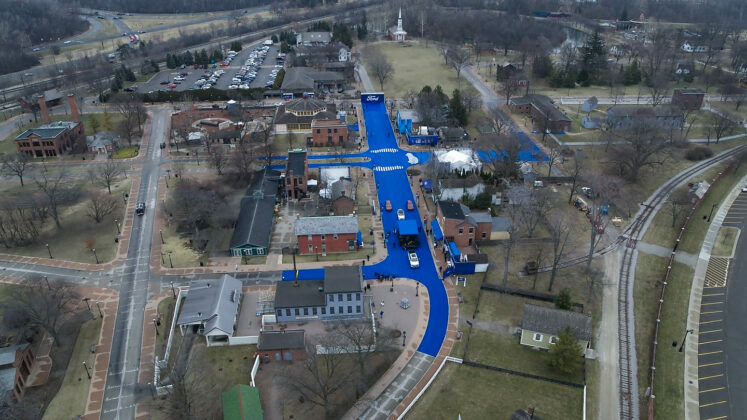 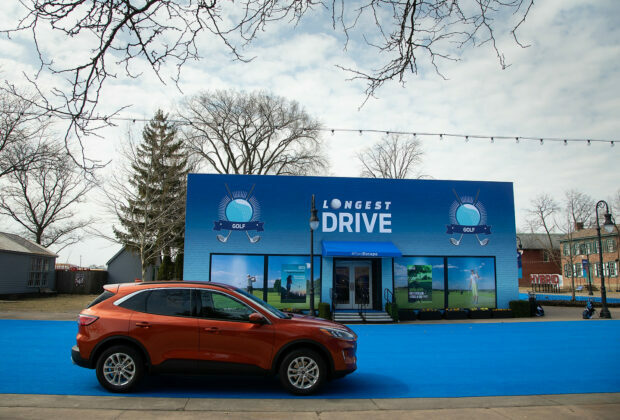 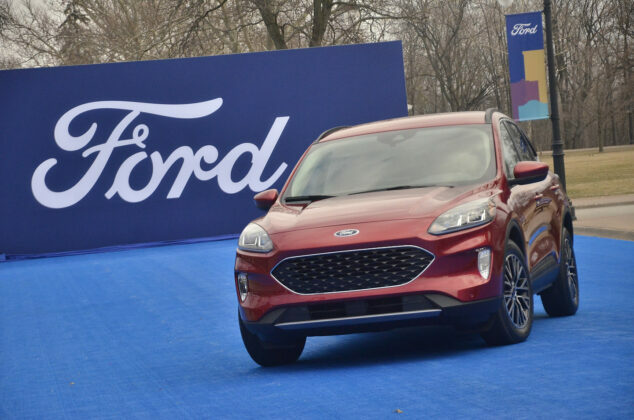 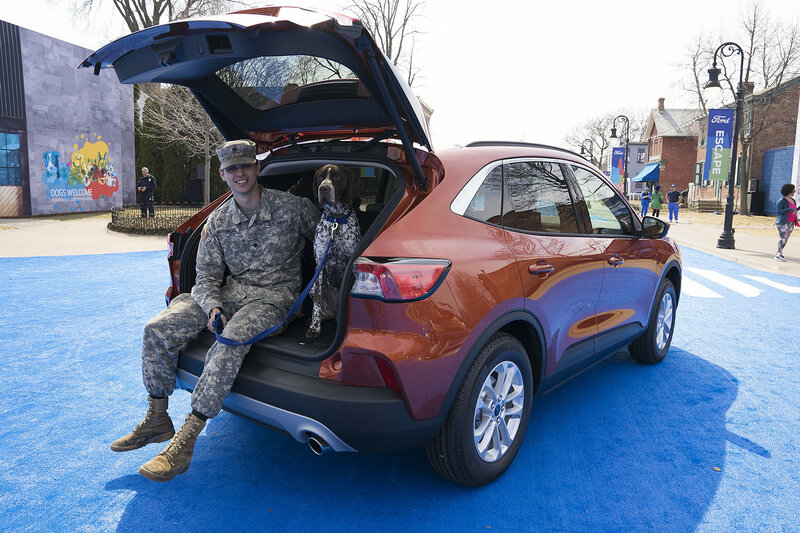 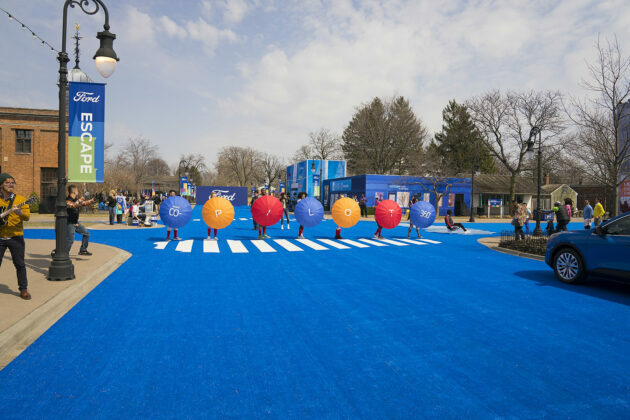 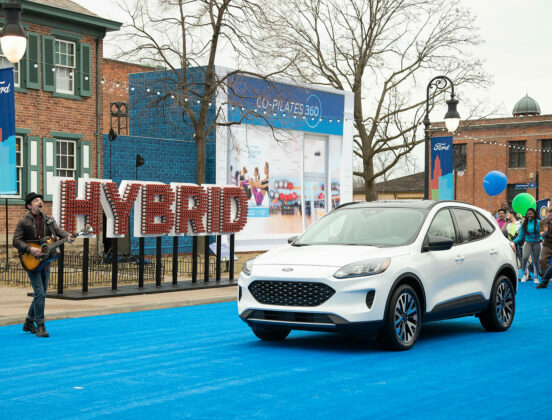 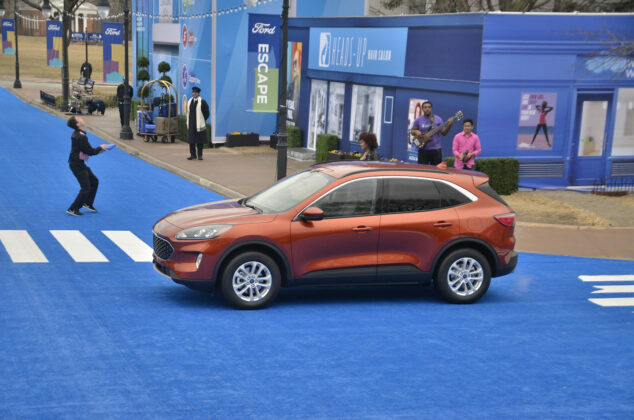 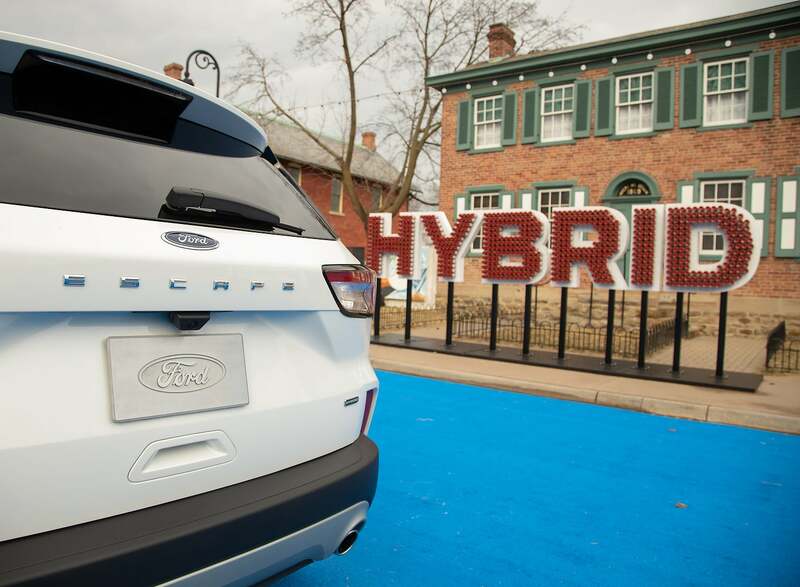 Ford is in new-product ramp-up mode and key among all their vehicles is, and will be, the 2020 Ford Escape. 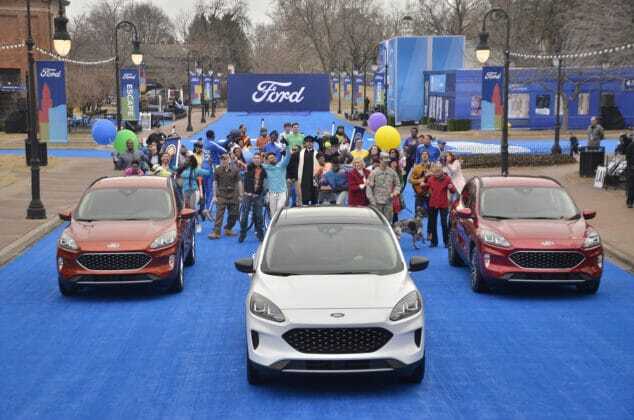 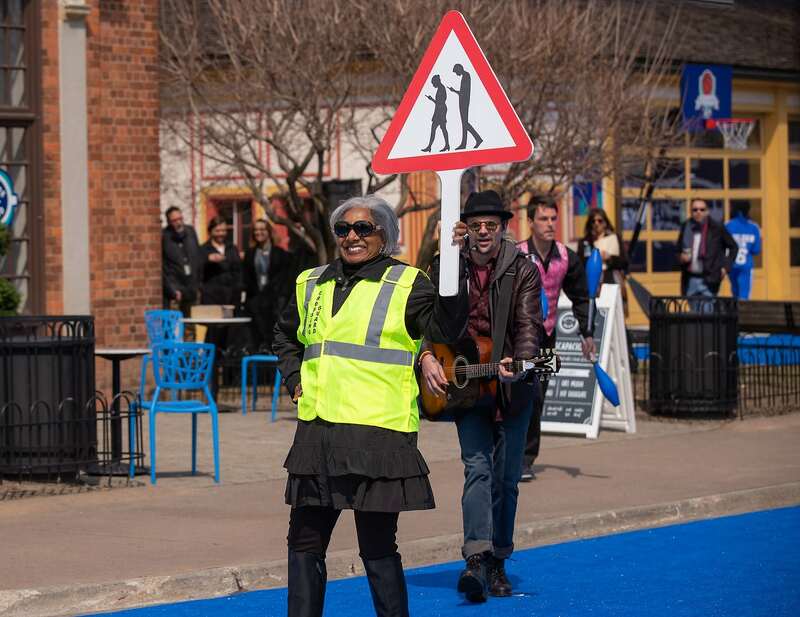 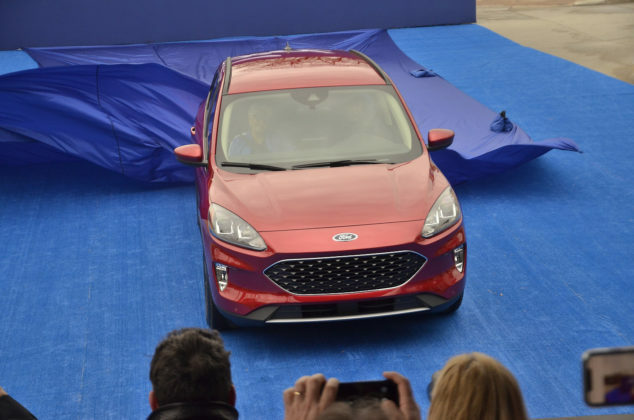 Its job will be to attract previous Fiesta, Focus and Fusion shoppers and keep them within the family. In order to do this, it needs to be good, really good. 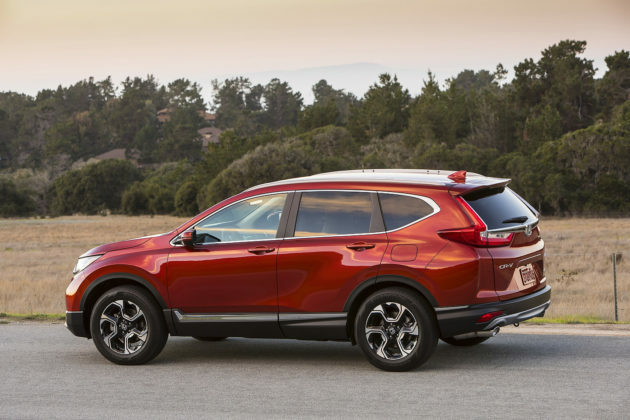 The 2019 Honda CR-V has a much easier job – it’s been a best-seller for years and needs only to be a CR-V. The Honda has suffered some mild reliability setbacks of late but Ford is also no stranger to drivability and reliability issues. Even so, the Ford Escape is never too far off the pace when yearly best-seller lists are produced. The latter is usually capped by the Honda and the Toyota RAV4. Despite the 2020 Ford Escape arriving only next fall, questions and interest are directed towards the Ford. 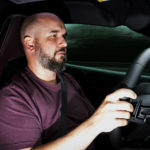 As they both duke it out in one of the most hotly contested segments in the business, it makes sense to pit them against each other if mostly to see where the Escape stands. Let’s take a closer look at their respective specs and see how they measure up. 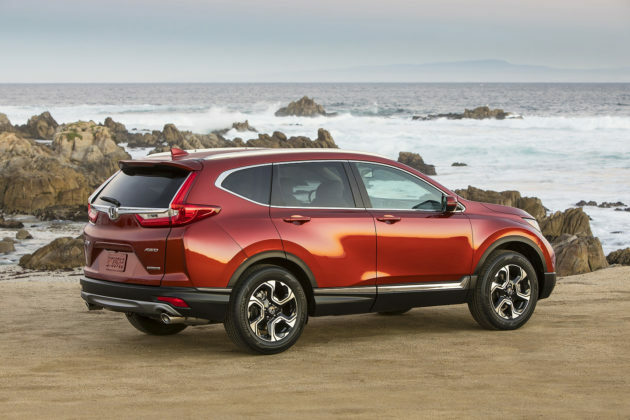 Unlike Toyota, Honda and Ford have opted for smaller displacement engines and turbocharging to meet both the demands for fuel efficiency and performance from today’s consumer. 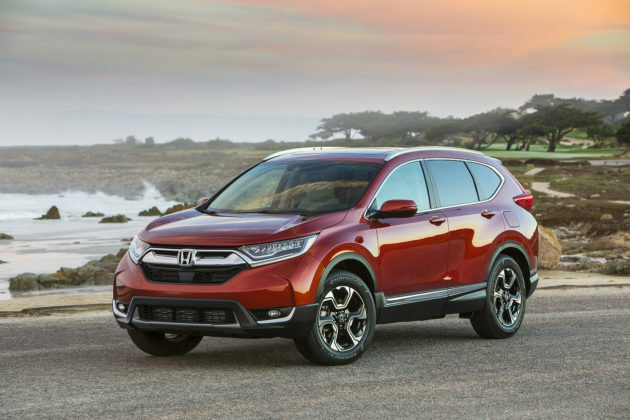 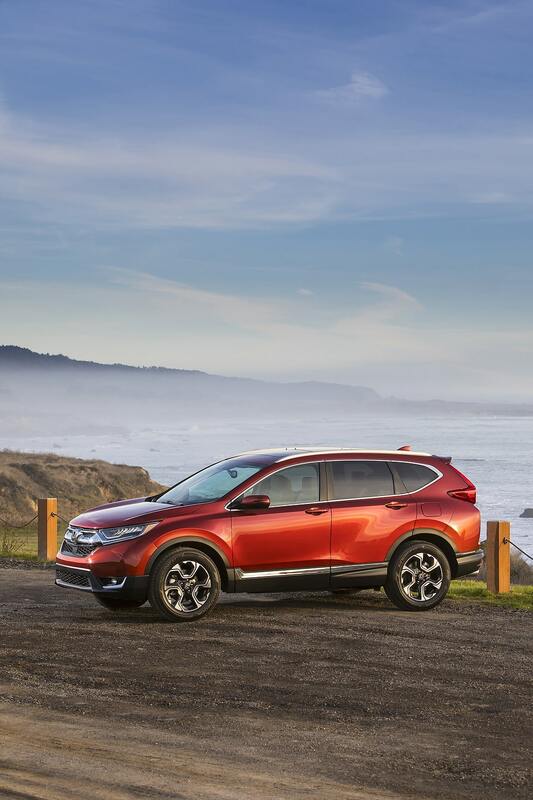 Honda keeps its CR-V offering as simple as possible with only one mill, one transmission and the choice between FWD and AWD. 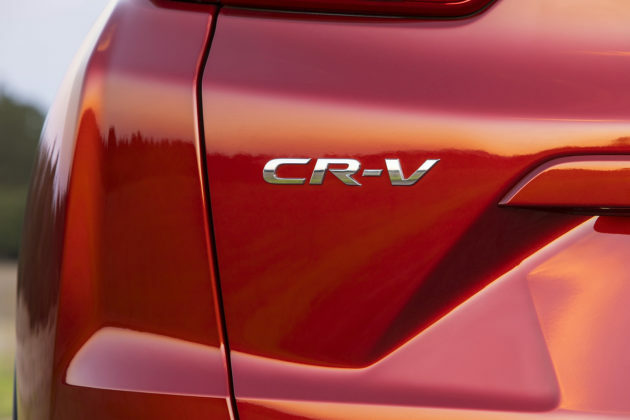 As such, all CR-Vs are powered by a turbocharged 1.5-litre 4-cylinder engine which produces 190-horsepower and 179 lb.-ft. of torque. To it is mated a continuously variable transmission which sends mojo up front in the base LX model, or all four from the LX to the top Touring trim. 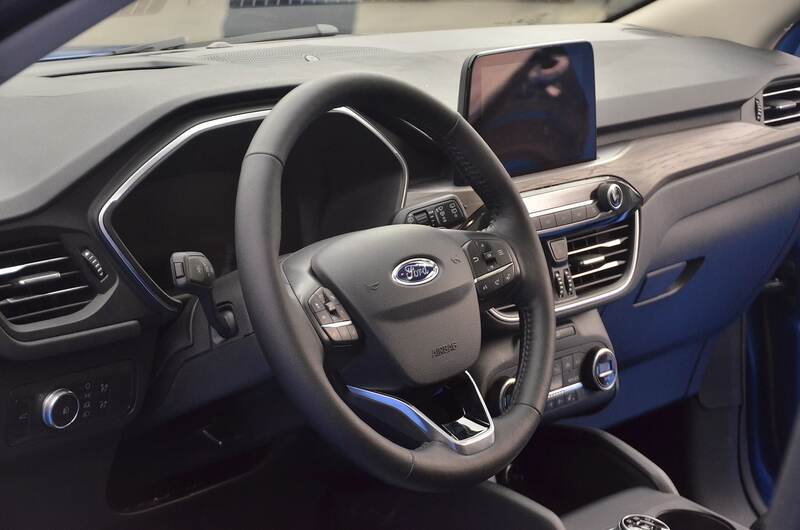 Ford’s setup is far more complex. 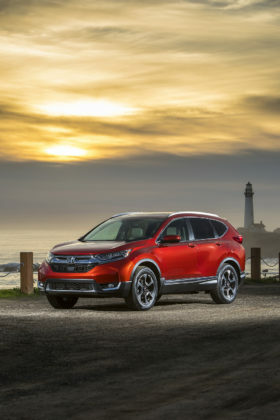 Lower trim models feature a turbocharged 1.5-litre 4-cylinder engine which delivers 180-horsepower and 177 lb.-ft. of torque. 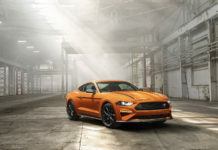 The optional a turbocharged 2.0-litre EcoBoost engine produces 250-horsepower and 275 lb.-ft. of torque. 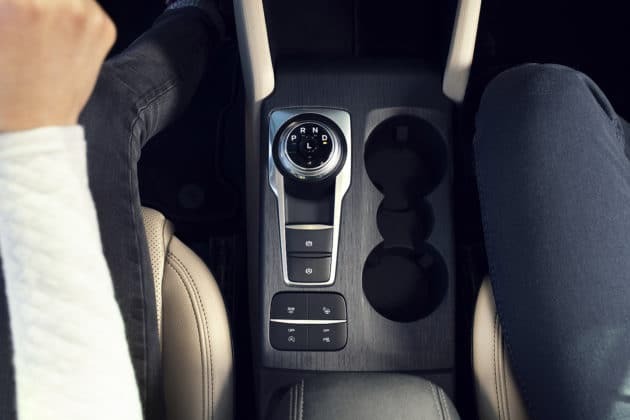 Both are married to a new 8-speed automatic transmission. 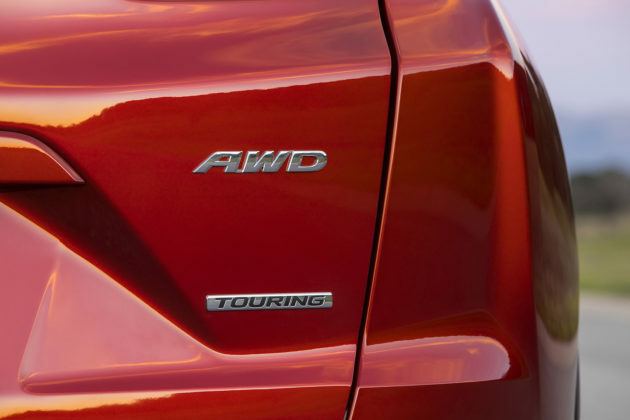 With the 1.5-litre, FWD is standard, while AWD is optional. 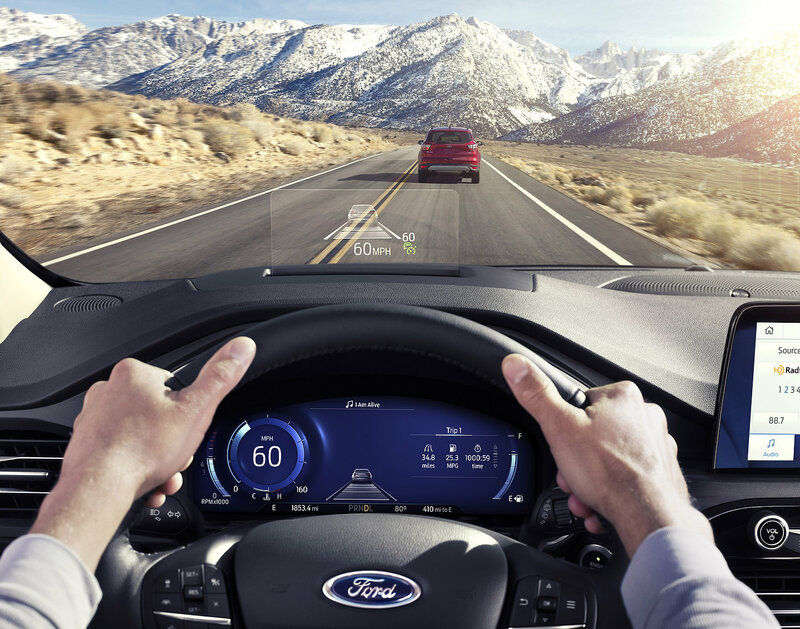 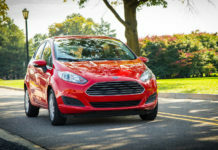 Ford’s Intelligent AWD is included with the 2.0T. 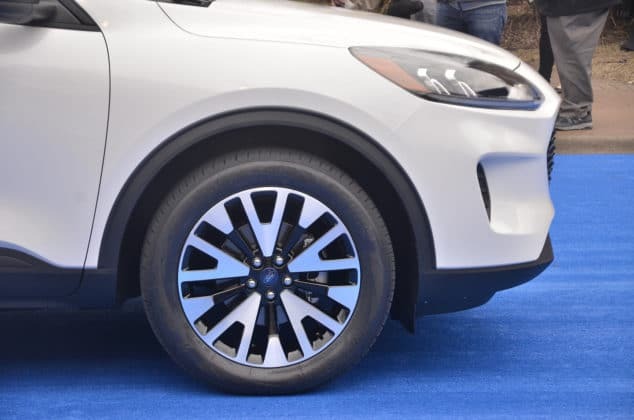 And then, there’s a hybrid version. 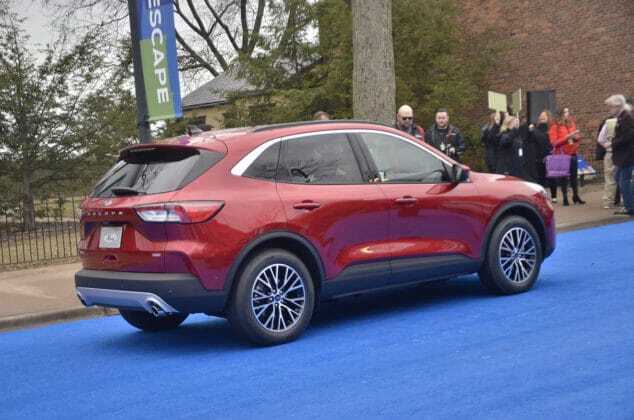 It will be powered by an all-new 2.5-liter Atkinson cycle hybrid engine and electronic continuously variable transmission with available AWD. Total system horsepower is rated at 198 however those who prefer the FWD-only plug-in hybrid version will get 209-horsepower and an EPA-estimated range of at least 50 km in EV mode. 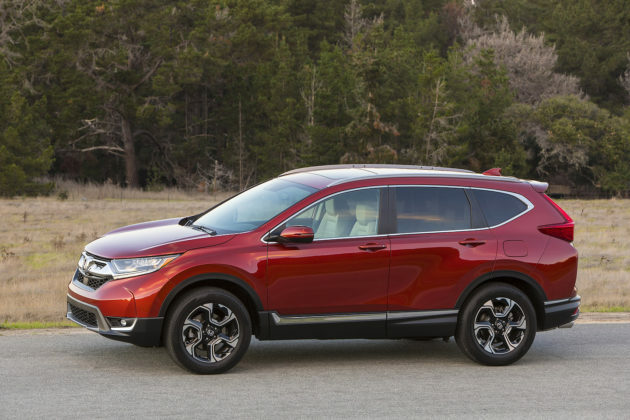 And no, Honda still does not offer a hybrid CR-V in North-America. The AWD system in both vehicles rely solely on the front wheels when cruising or under light throttle loads. 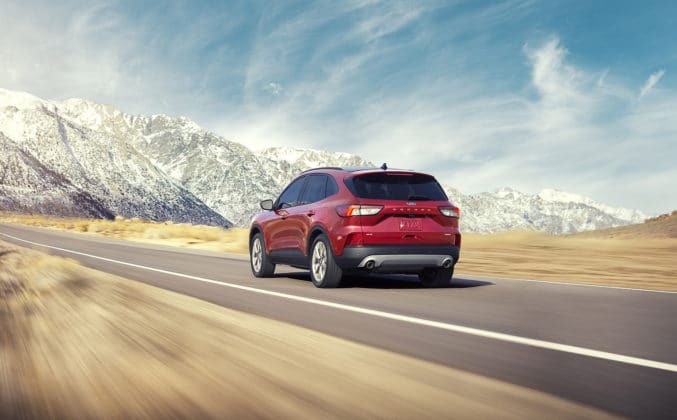 When the system detects slippage or low traction situations, the rear axle is engaged. 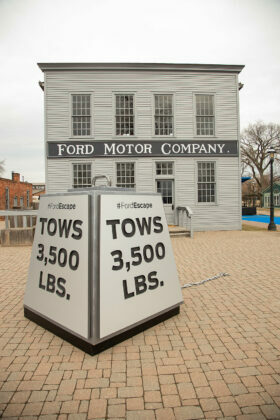 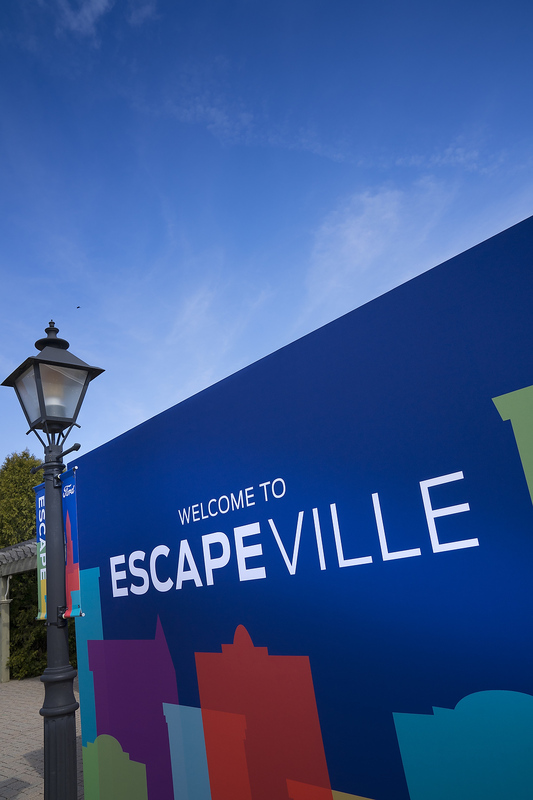 Fuel economy numbers have not yet been made public for the Escape but the pressure is seriously on. 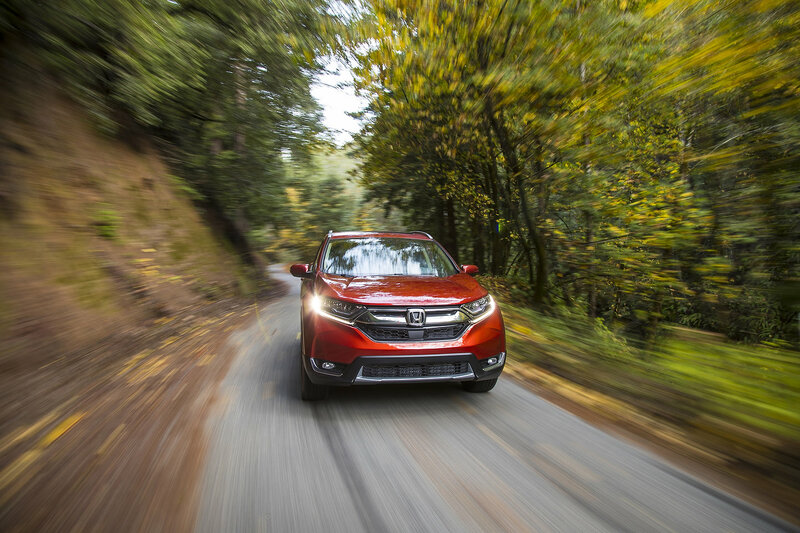 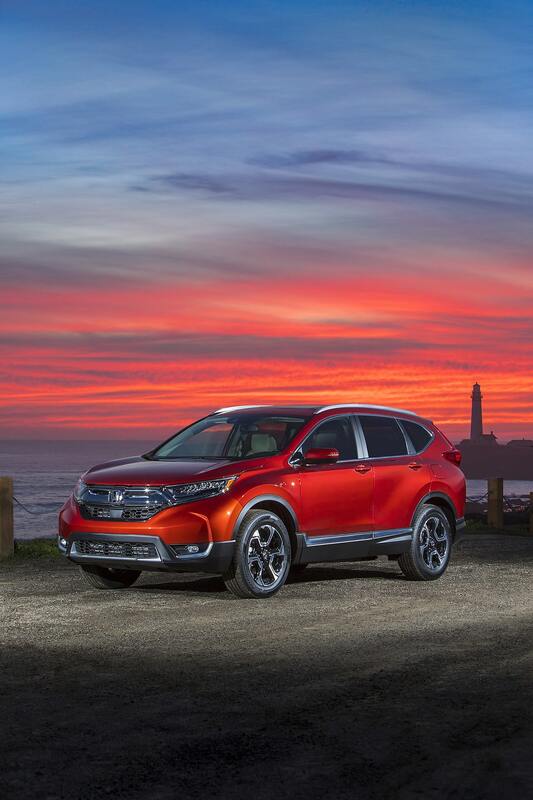 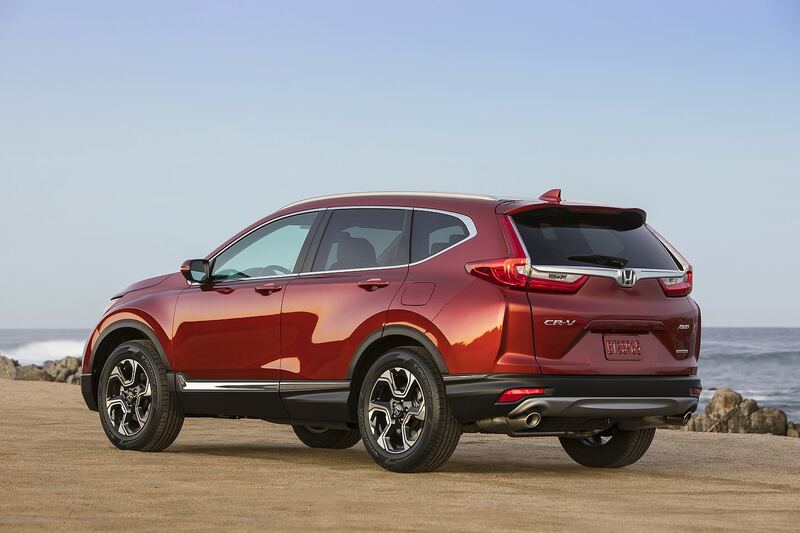 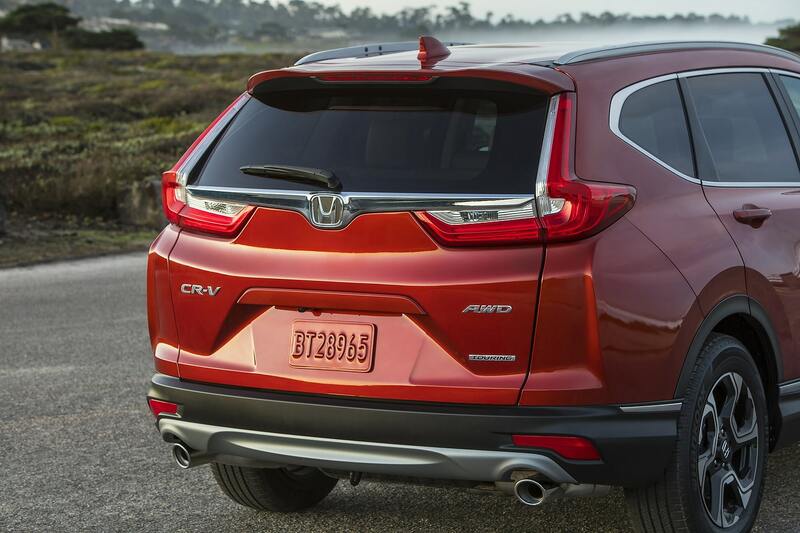 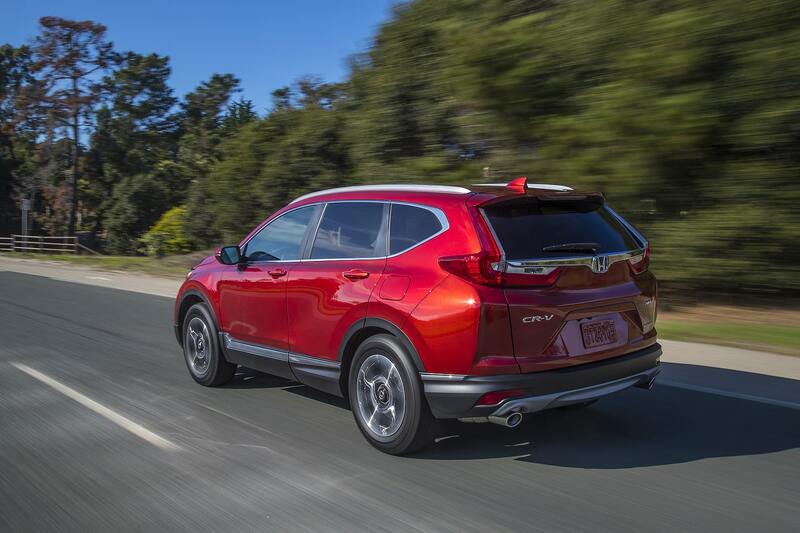 The Honda CR-V AWD returns averages of 8.7/7.2/8.0 (City/Highway/Combined L/100km) rating. 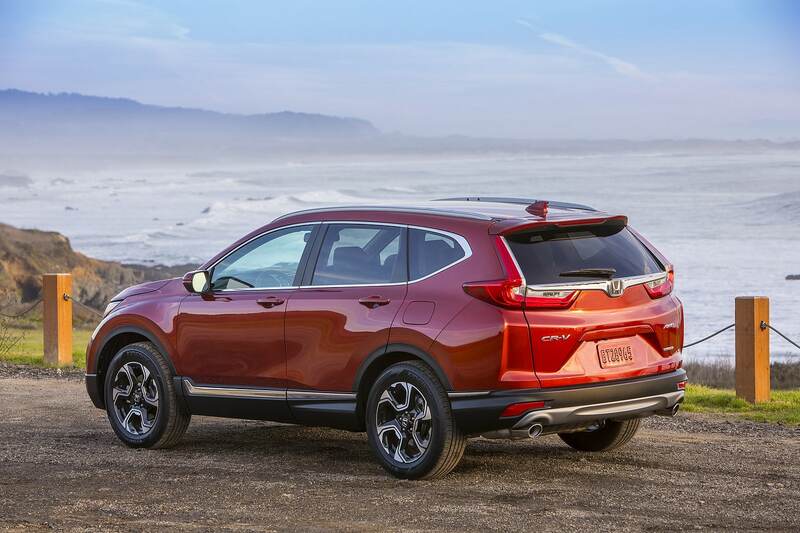 A similar AWD RAV4 is rated at 9.2/7.1/8.3, respectively. 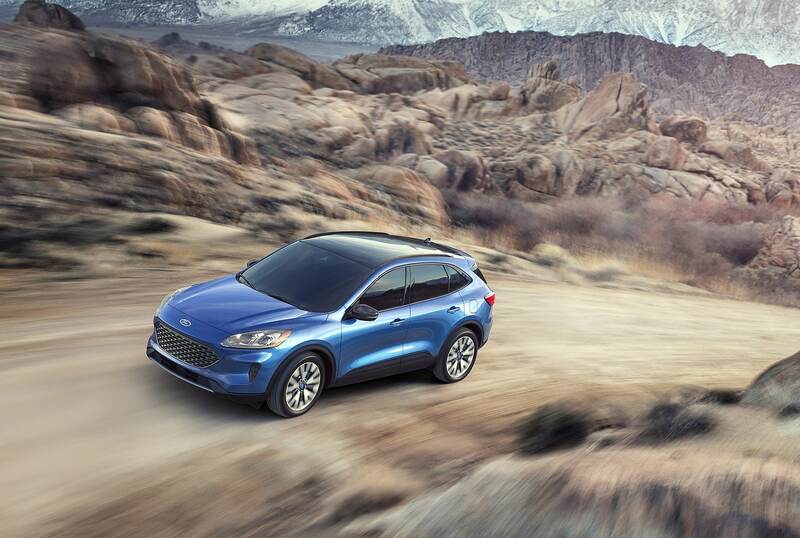 As a mean of comparison, a 2019 Escape 1.5-litre EcoBoost AWD consumes a mediocre 11.2/7.8/9.9. 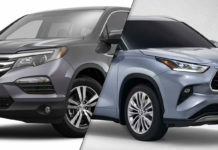 The value battle in this segment is just as important as every other aspect, The base LX-2WD 2019 Honda CR-V retails for $27.690, or $300 less than the base $27,990 FWD Toyota RAV4 LE. 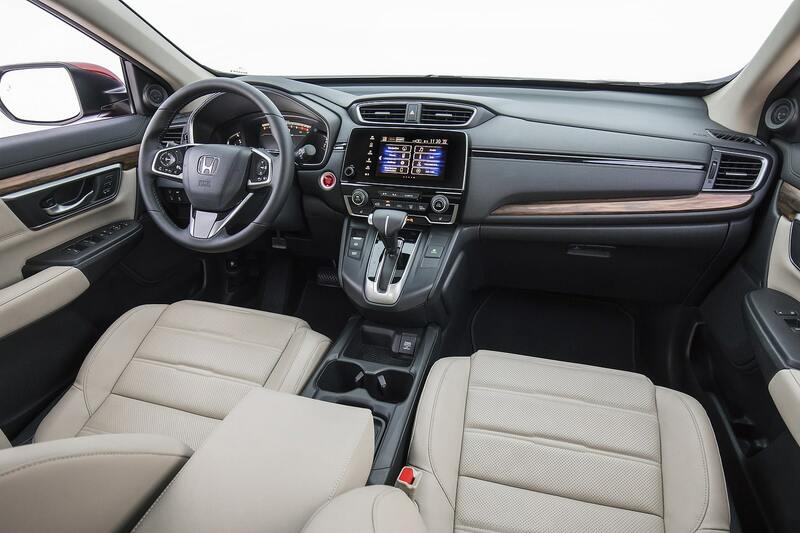 An extra $2,800 entitles the buyer to an LX with AWD and the first level of Honda Sensing technologies, for a $30,490. 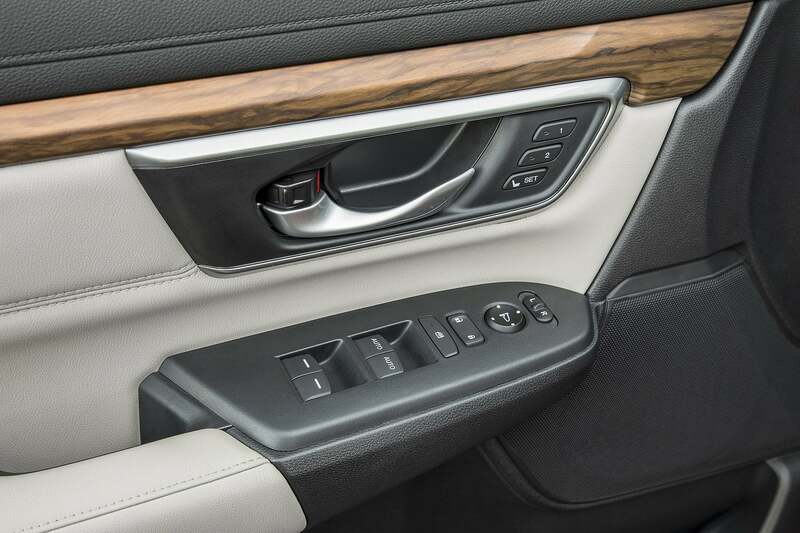 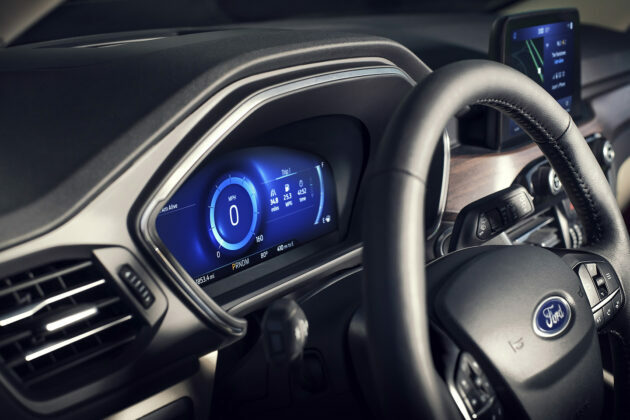 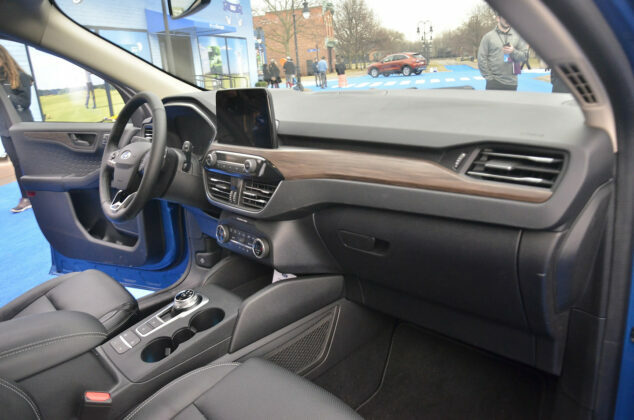 The LX trims include a 7-inch display, Apple CarPlay, Android Auto, heated front seats, Bluetooth, a remote engine starter and 17-inch alloy wheels. 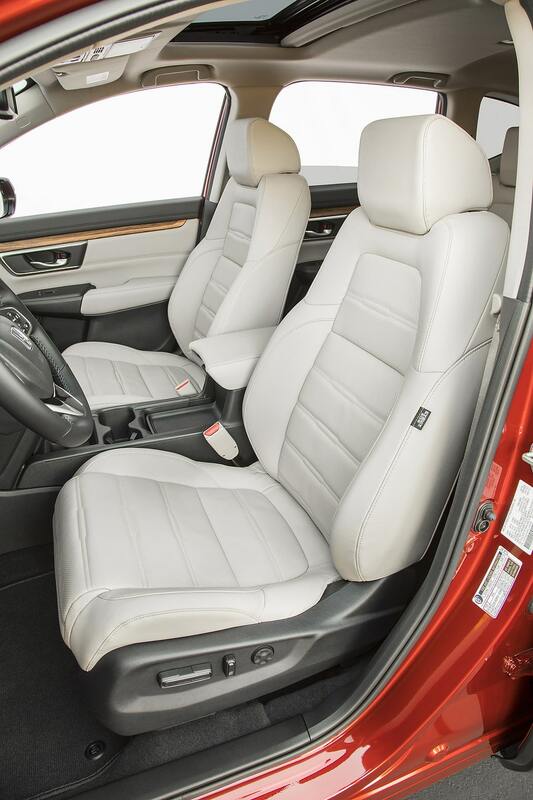 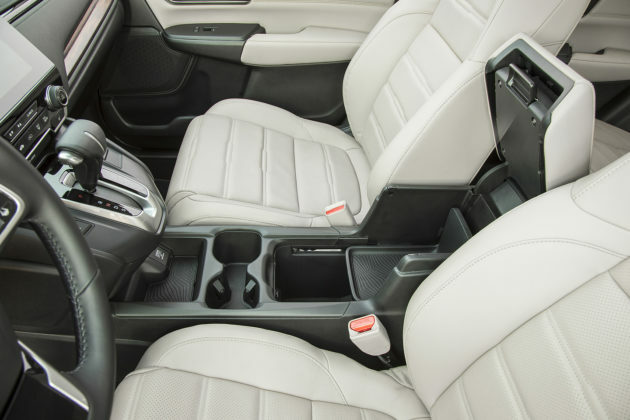 By the mid-trim EX, a driver-side power adjustable seat, sunroof and fog lights are added. 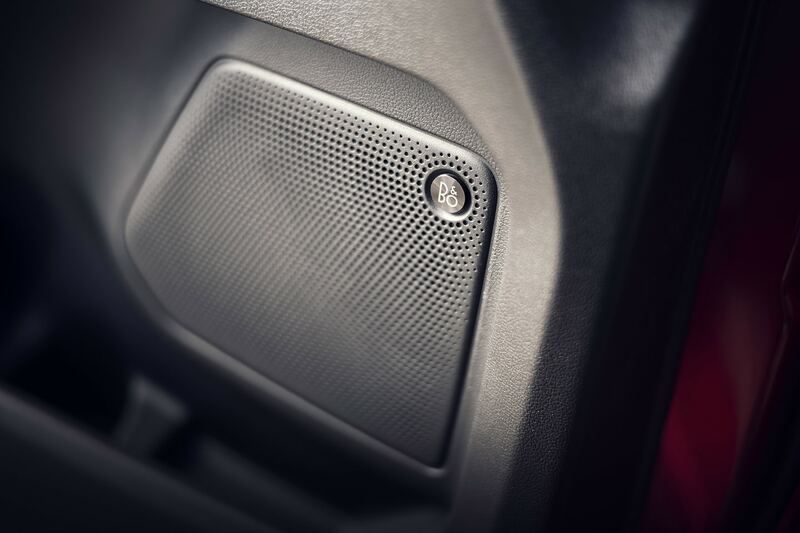 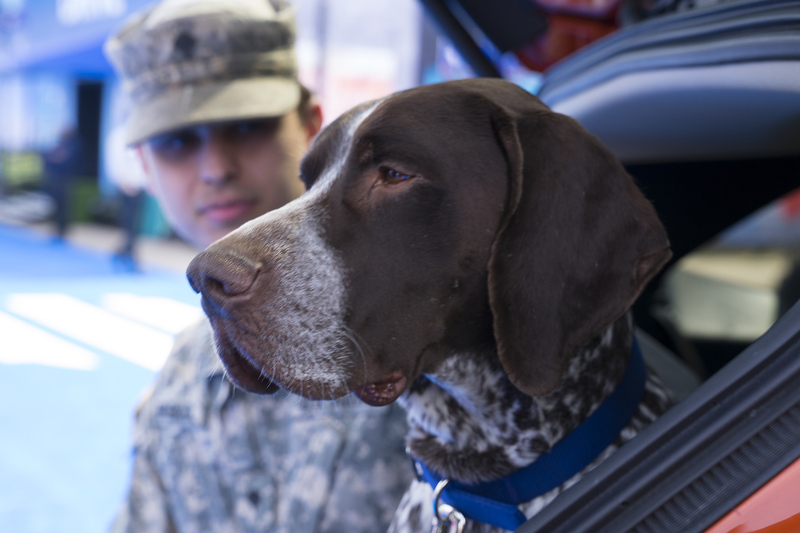 Moving upward, a power tailgate, navigation, and more become available. 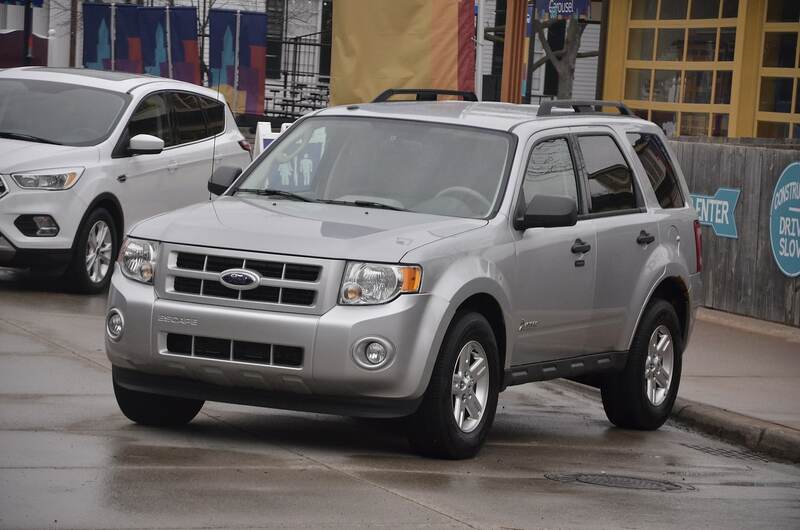 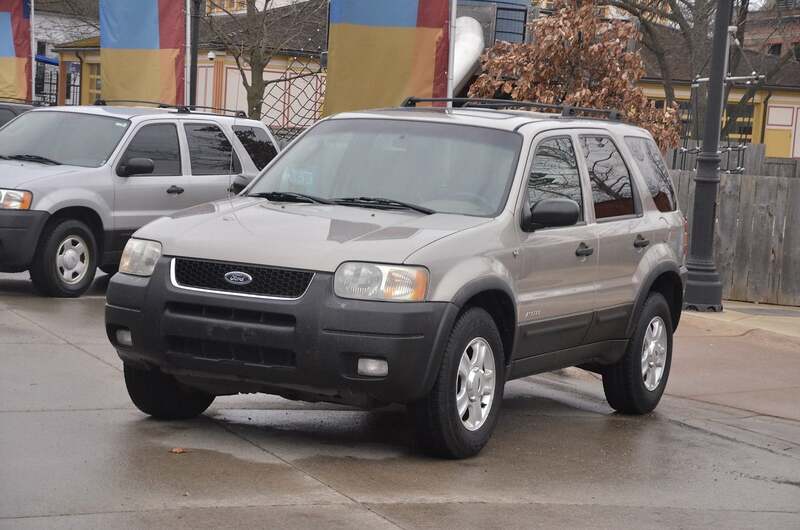 As for the Ford Escape, Canadian pricing, specifics as well as trims are not shared. 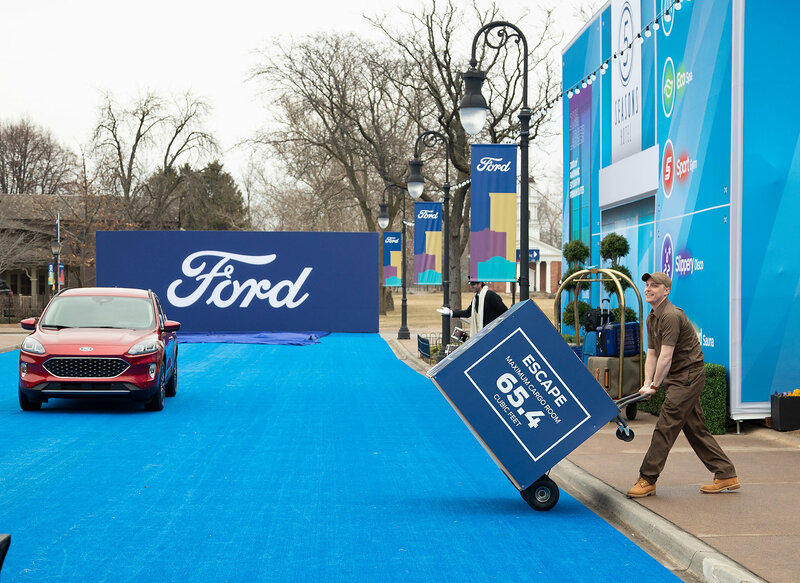 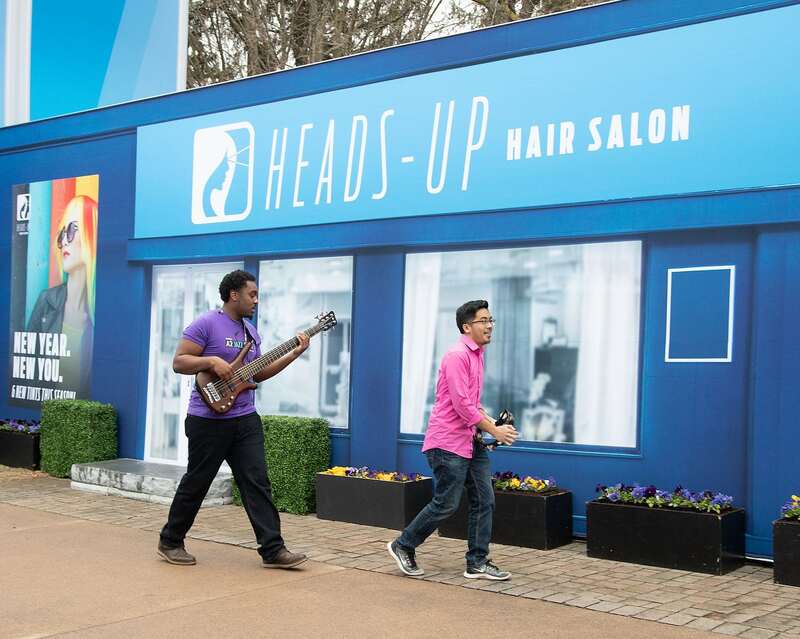 Ford will load their new Escape with everything in the hopes of taking a sizeable chunk of sales away from the competition. 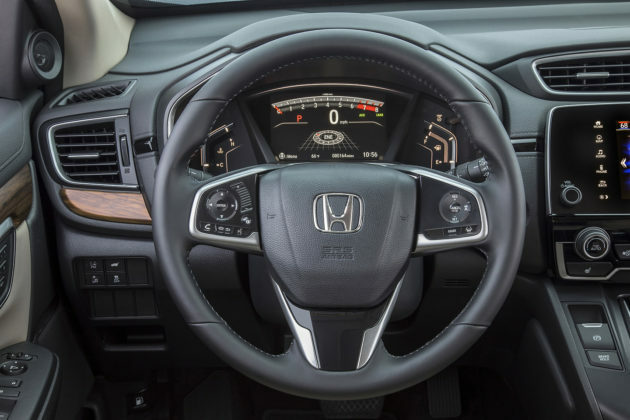 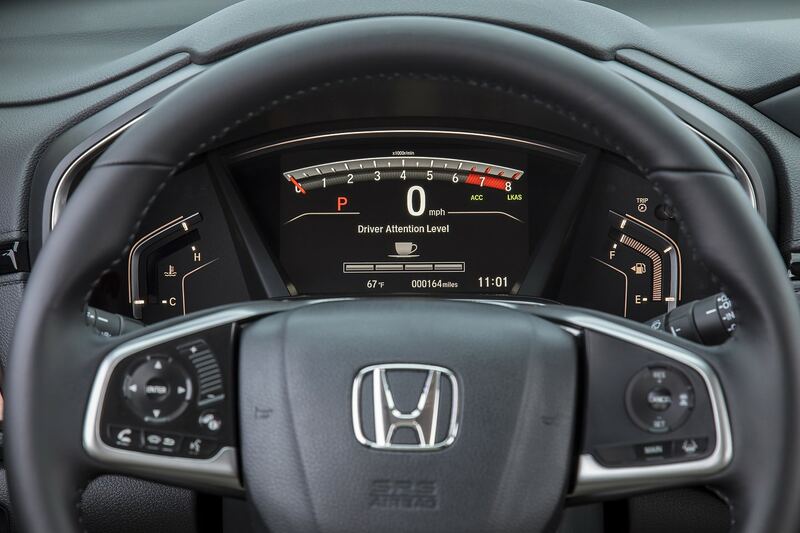 Look for an available 12.3-inch digital instrument cluster, heads-up display, active park assist 2.0 and evasive steering assist. 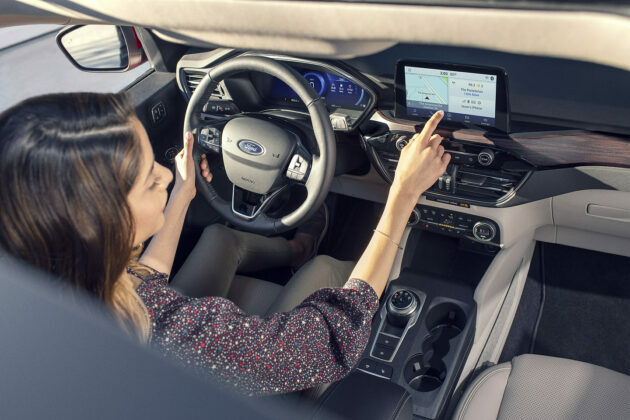 Other features 4G LTE Wi-Fi, 8-inch display, SYNC 3 with Apple CarPlay, Android Auto, and much more. 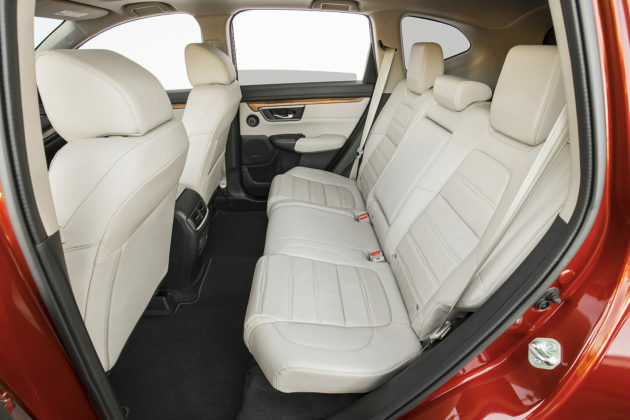 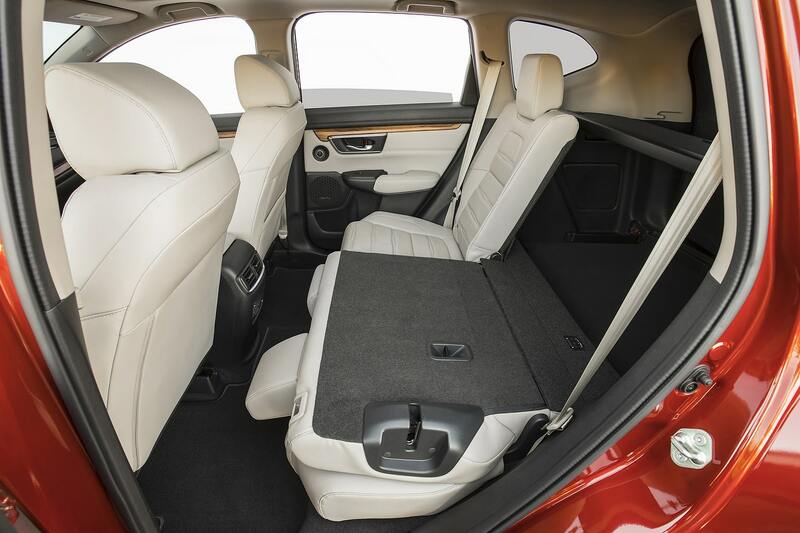 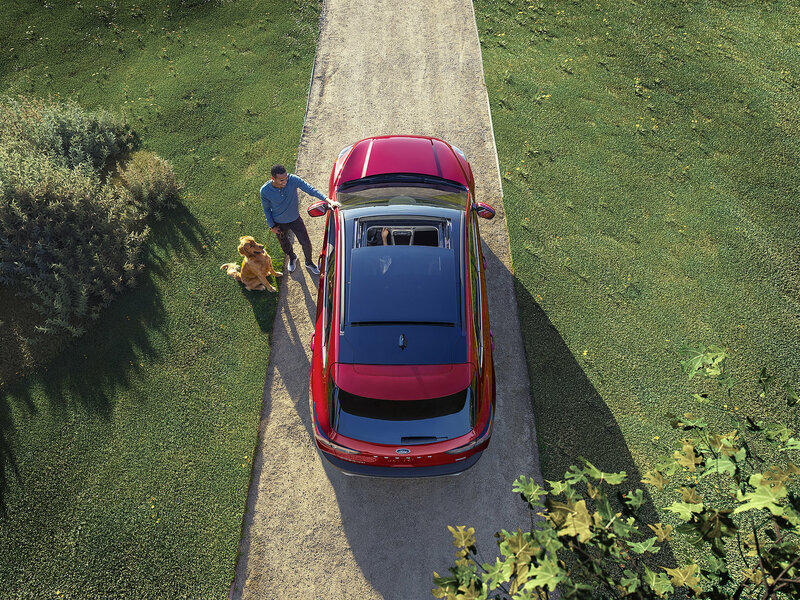 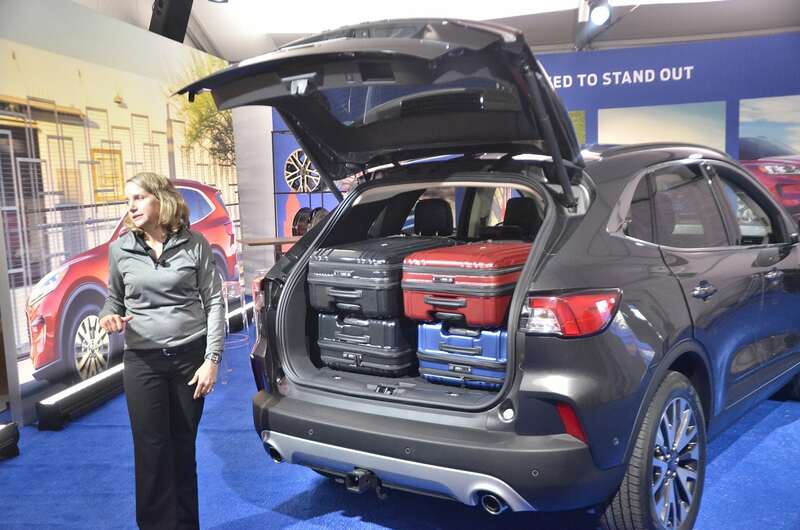 The Ford Escape is good for 1,060 litres of trunk volume while the Honda CR-V offers up to 1,110 litres. 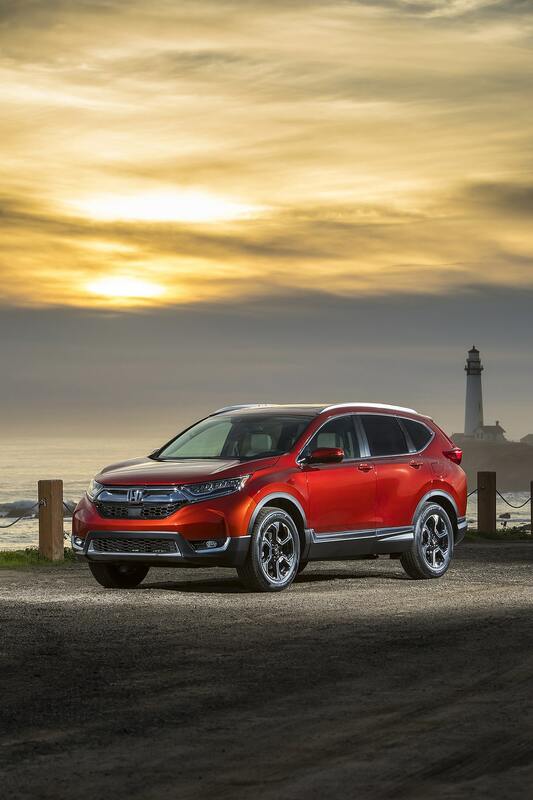 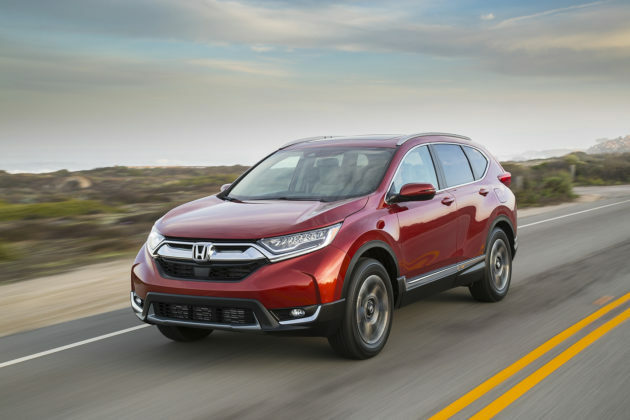 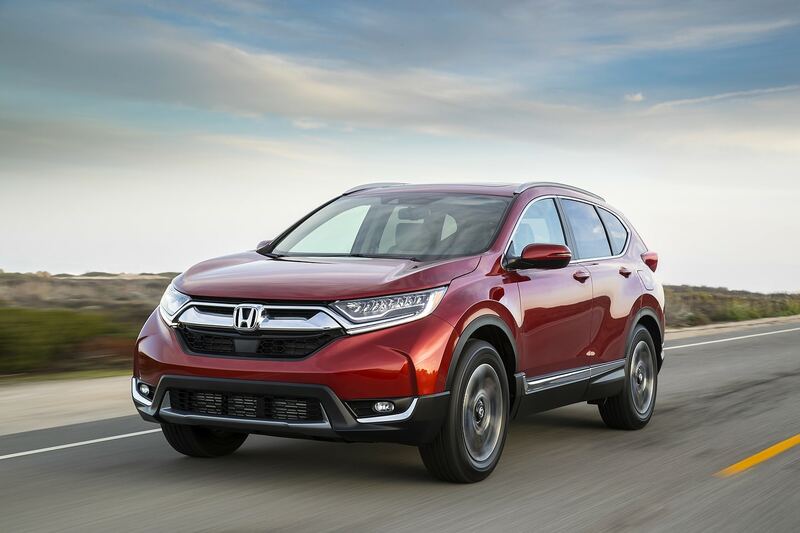 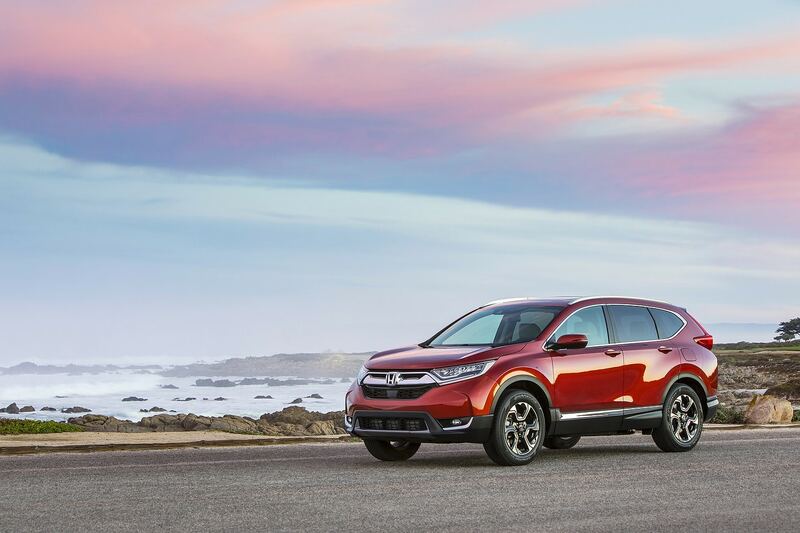 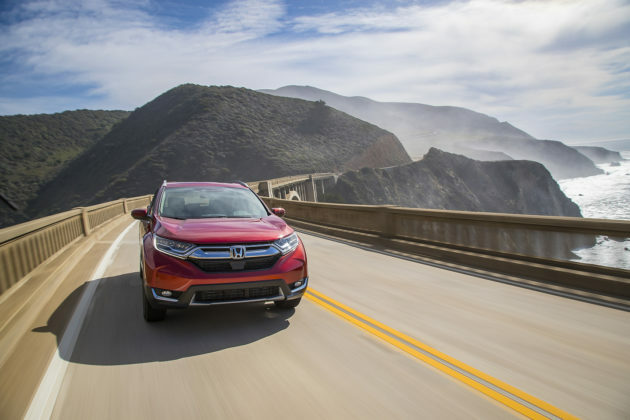 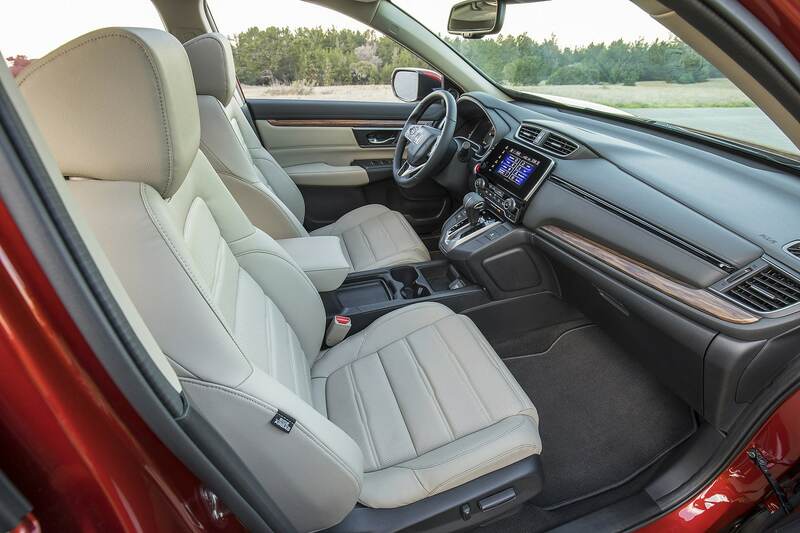 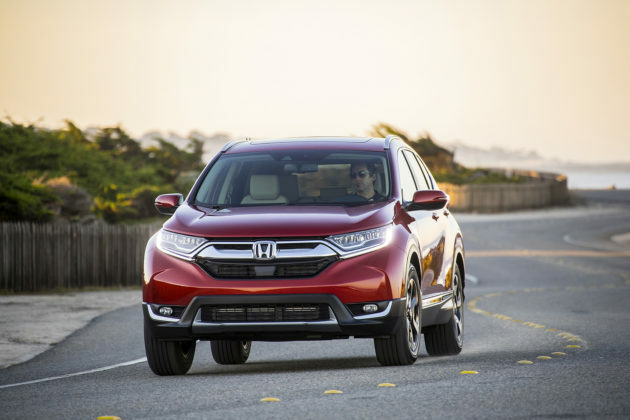 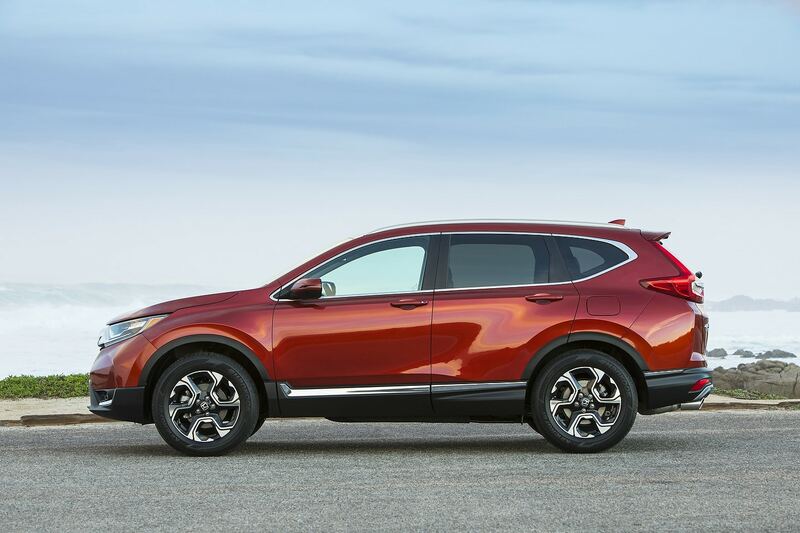 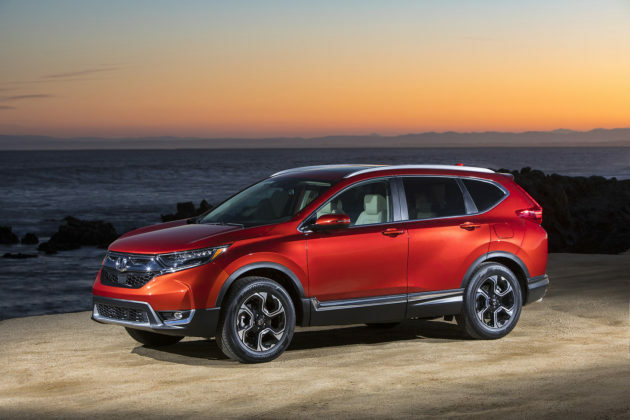 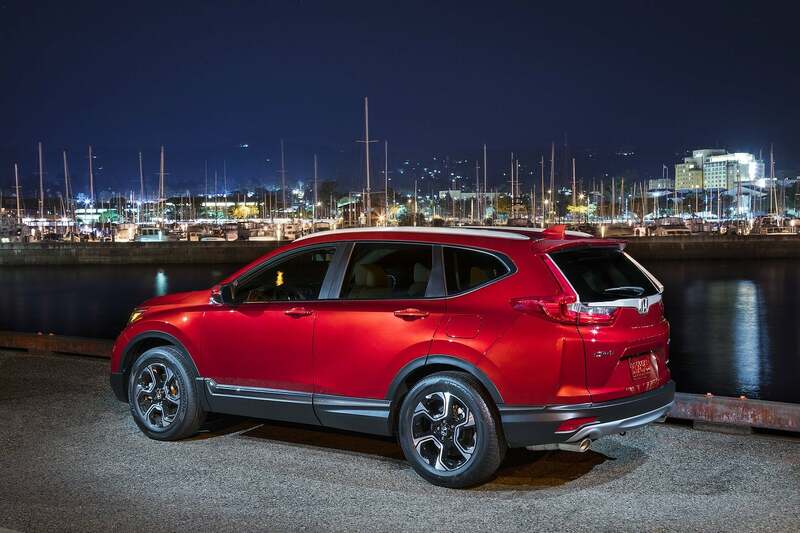 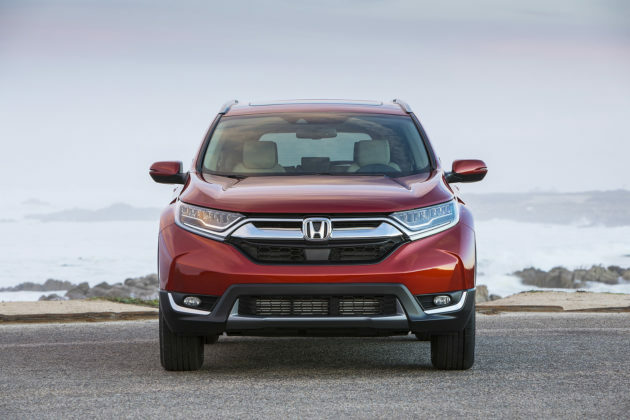 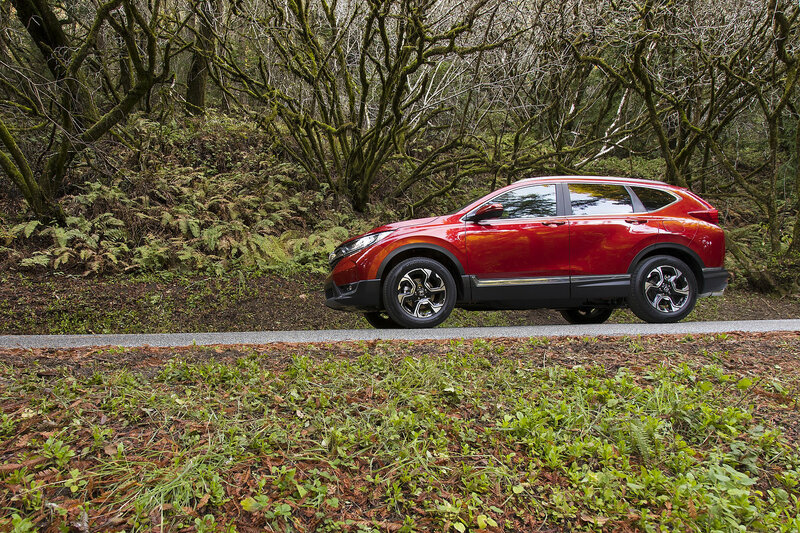 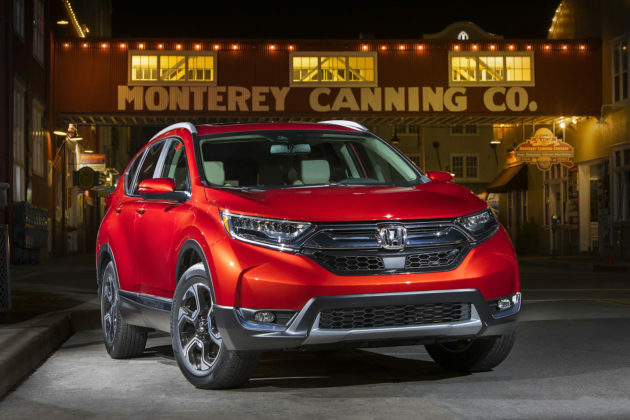 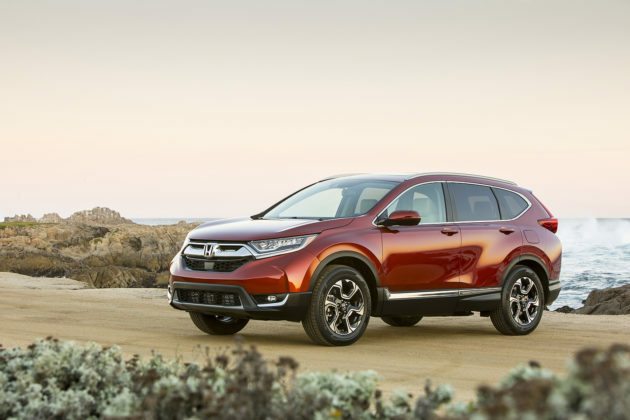 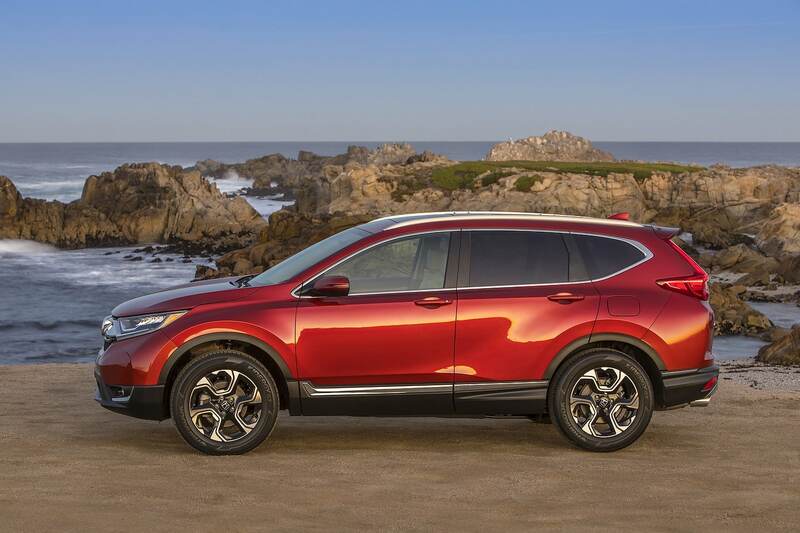 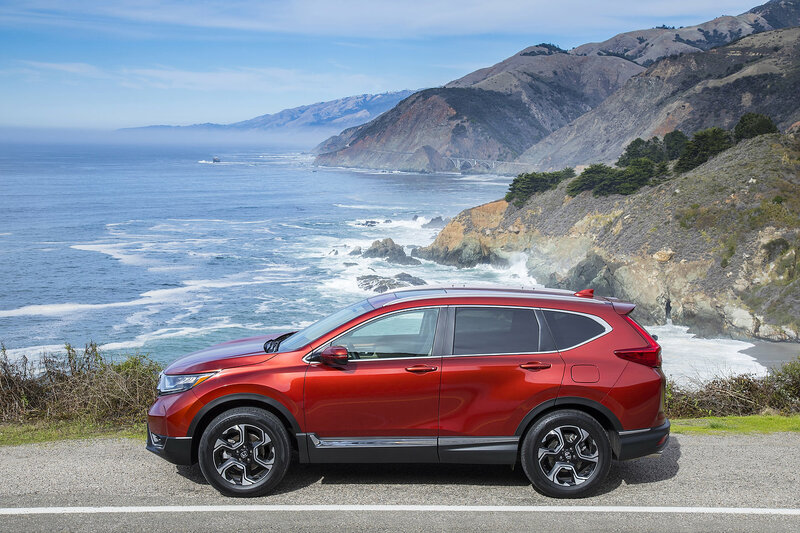 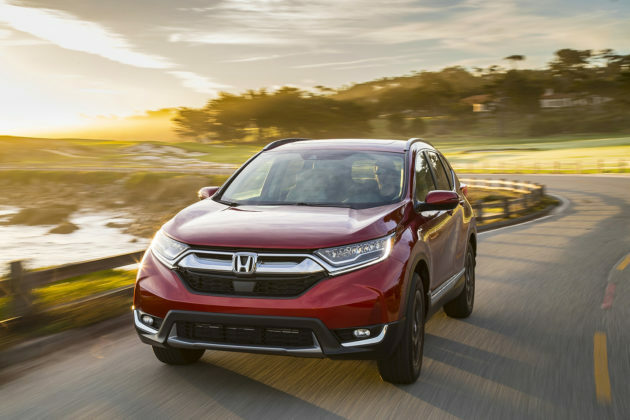 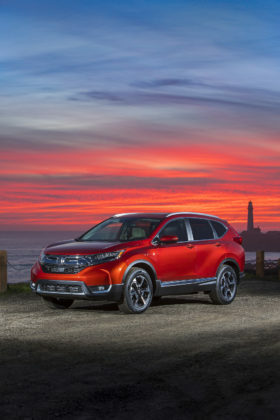 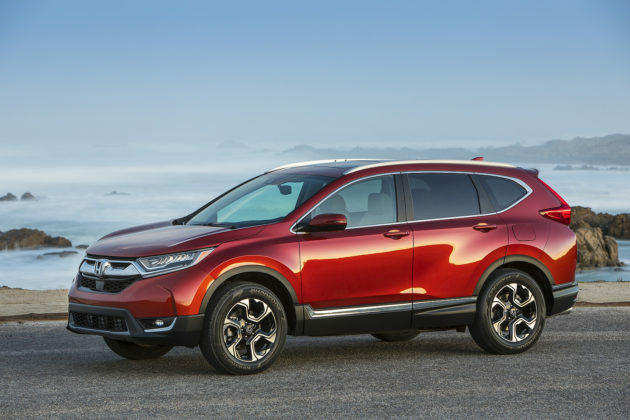 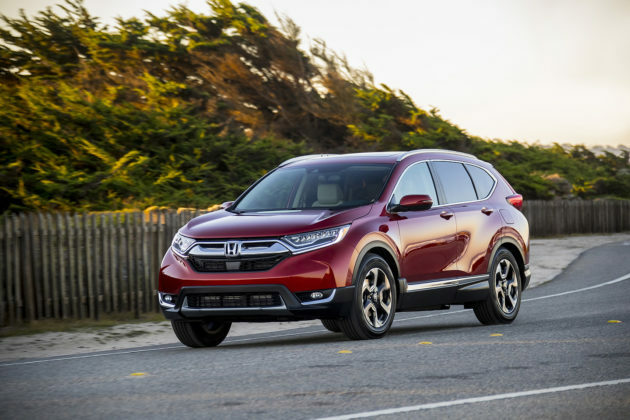 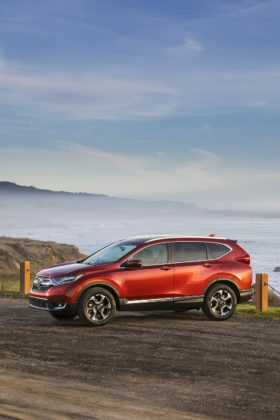 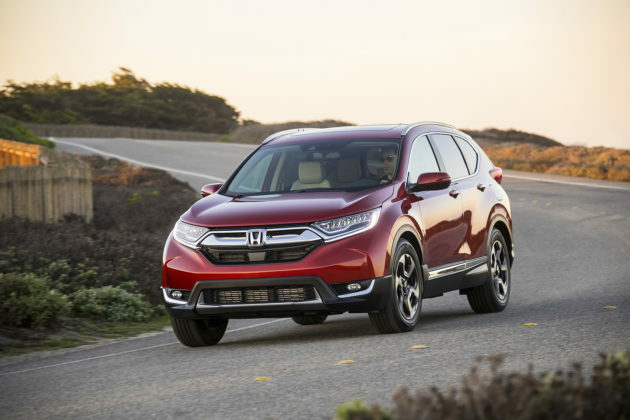 The was a time not that long ago where the Honda CR-V was hands-down the best, most interesting and family-friendly option among the numerous compact crossovers. 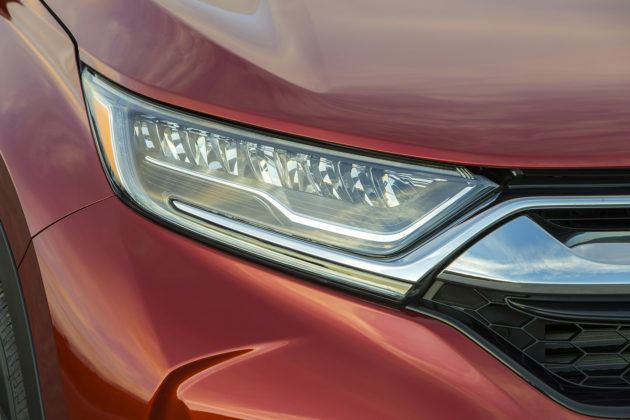 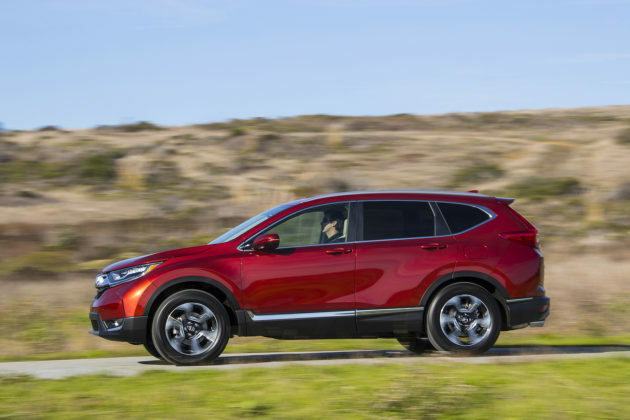 Honda’s recent issues with engine reliability and a few other niggles, and the arrival of the all-new Toyota RAV4, have changed its standing. 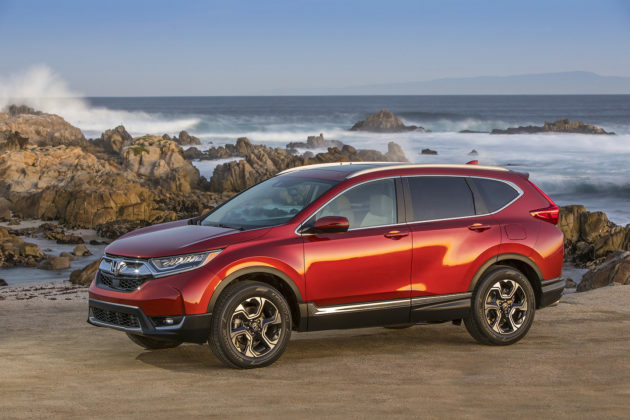 At the moment, the Honda CR-V challenges the RAV4 by reputation and value other than drive, actual reliably and more. 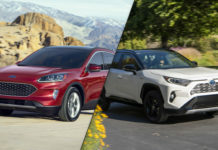 Where the 2020 Ford Escape fits among these two segment titans is difficult to pinpoint. 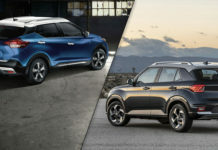 One thing is certain though and that is that the Escape will have to be beyond formidable at everything it does if Ford hopes to catch up to and take away from the Toyota. 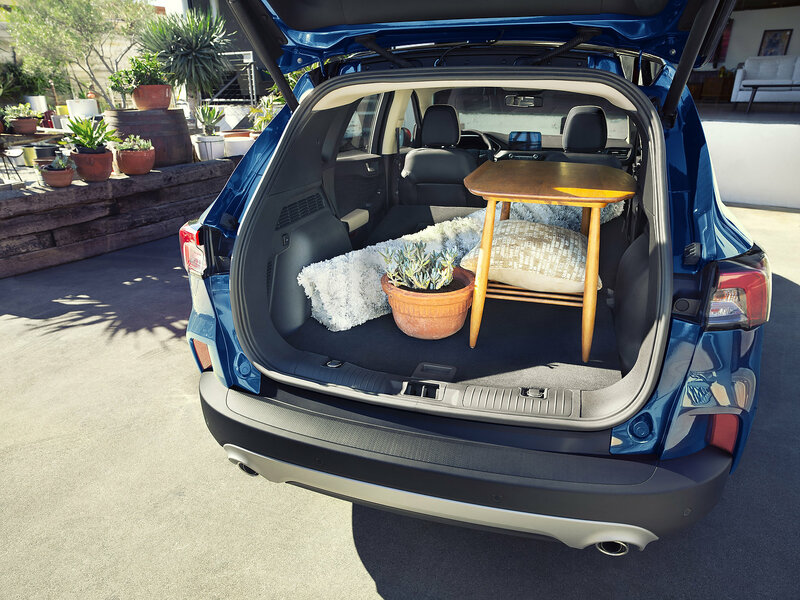 You may have guessed at this point that the Toyota RAV4 is our go-to choice in the segment. 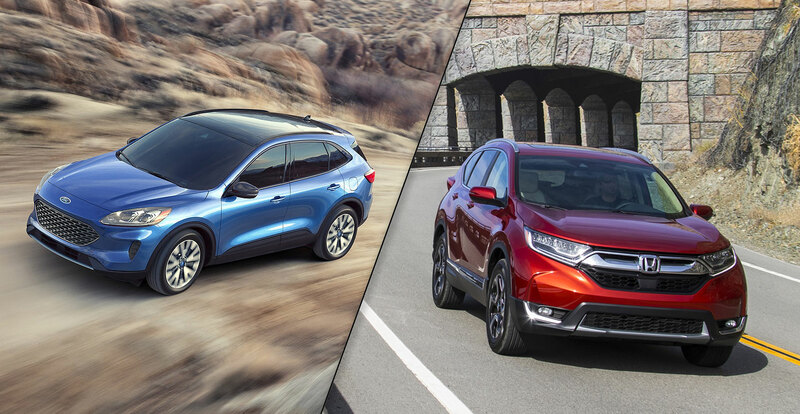 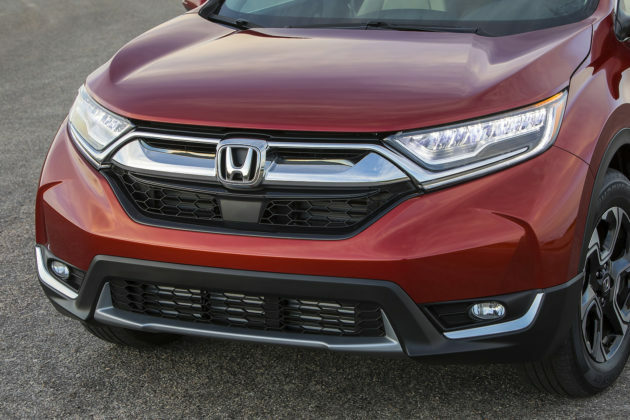 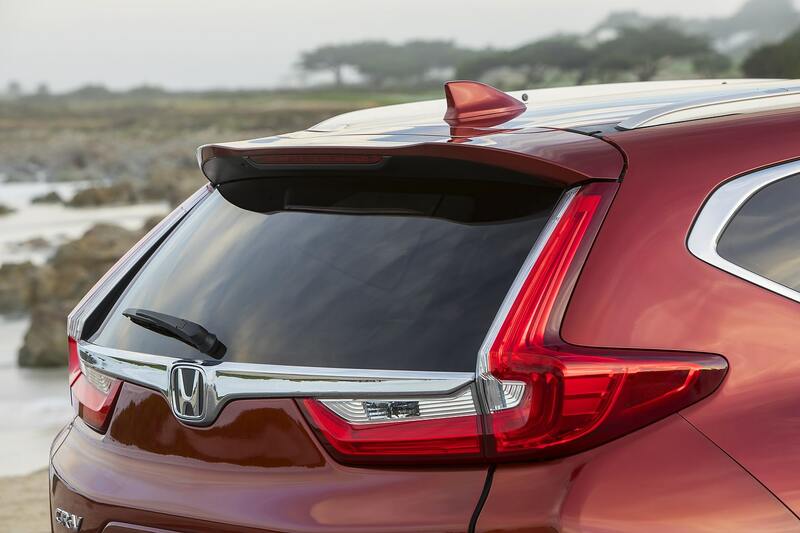 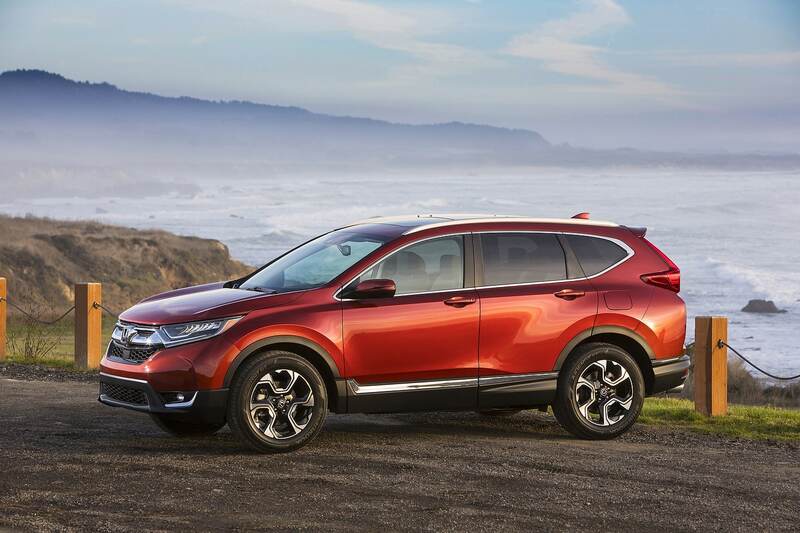 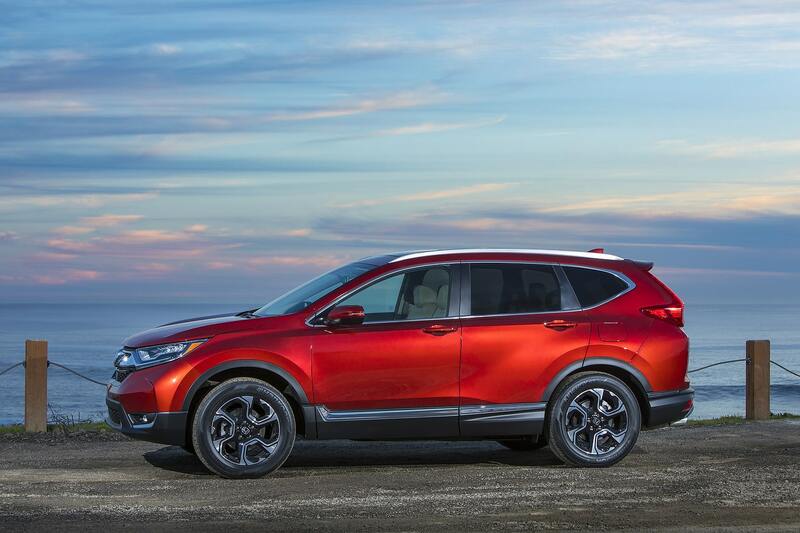 But between the Honda CR-V and Ford Escape, we’d wager a bet on the Honda.